Nam Du is a glistening archipelago of small tropical islands off the southwestern coast of Vietnam. 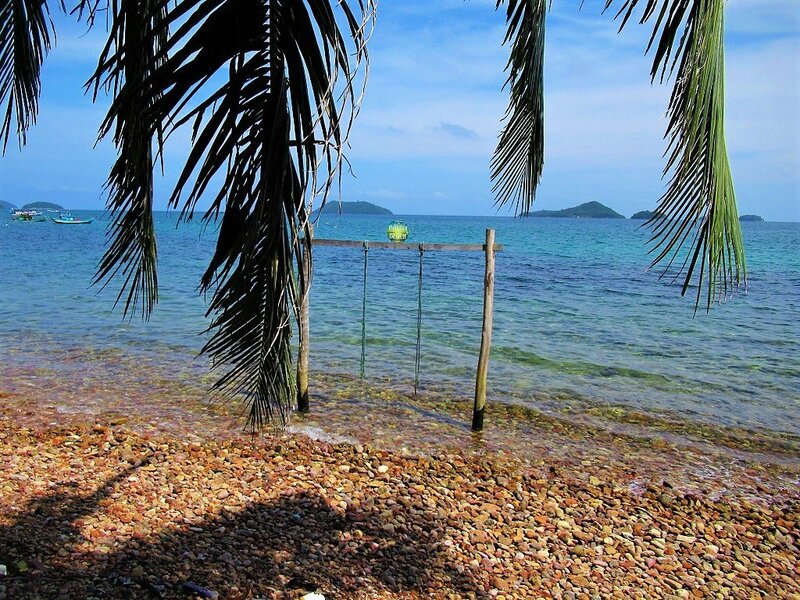 Lying in the calm waters of the Gulf of Thailand, travel to Nam Du Islands is still in its infancy. Pioneered by young, Vietnamese ‘Instagram-backpackers’ just a few years ago, Nam Du Islands have been gaining a reputation as an off-grid beach retreat. A good percentage of my younger Vietnamese friends in Saigon have already been there and done it, as have a handful of expats, and some adventurous foreign travellers. But, for at least two of the last four years, since Nam Du opened to visitors, foreign travellers weren’t allowed on the islands. However, that’s all changed now, and Nam Du Archipelago is easily reached by regular ferries from the mainland, making independent travel to these beautiful and undeveloped islands absolutely possible for all nationalities. Nam Du is gorgeous, but already the impact of tourism and development is changing the islands, in many cases for the worse. It’s probably best to visit sooner rather than later. The Nam Du Archipelago is at the western end of a small chain of islands drifting west of Rach Gia, a thriving port city on the mainland, in Vietnam’s western Mekong Delta region. 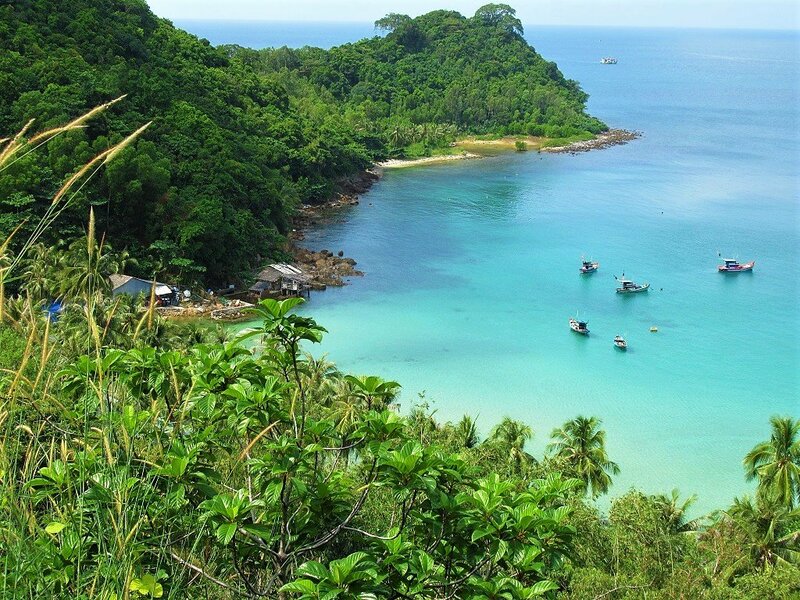 The Nam Du Archipelago sits in the Gulf of Thailand, consisting of over 20 islands, islets, and rocky outcrops. The biggest of these is known as Hòn Lớn (Big Island), but is also referred to simply as ‘Nam Du’. This island is the centre for most of the tourism and infrastructure in the archipelago. Of the outlying islands, several are inhabited, including Hon Ngang, Hon Mau, and Hon Trung. All of these islands can be visited by tour boat, including some of the uninhabited islands, too (see Getting Around for details). Nam Du Island (Hon Lon) itself can only be reached by ferry from the mainland (see Getting There for details). Tourism is still in its infancy. Indeed, until very recently, foreign travellers weren’t allowed to visit, unless they had a special permit. 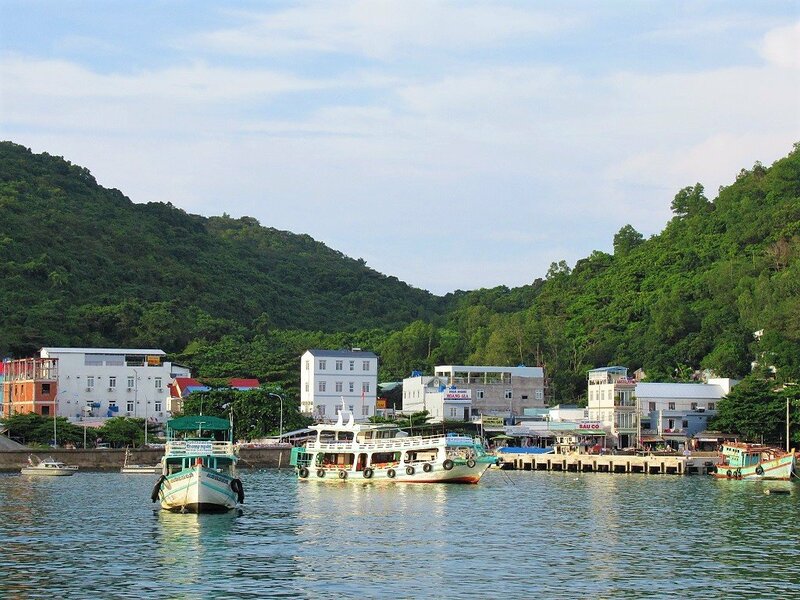 These days, however, anyone can step on a ferry from Rach Gia and enjoy the Nam Du Archipelago. The islands are green and forested, yet rugged and rocky; the sea is calm and the colour of blue topaz. I like to think of the archipelago as Vietnam’s Aegean Islands. 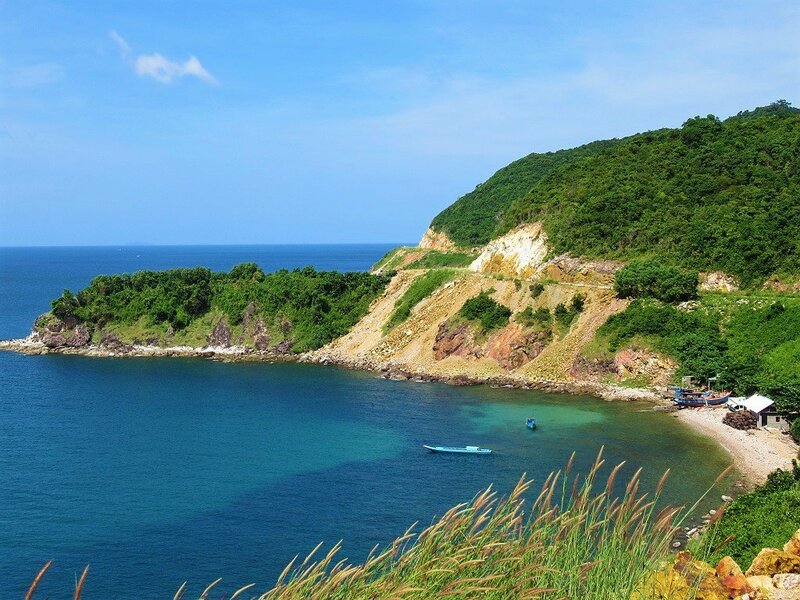 As such, Nam Du has gained a reputation for outstanding and untouched coastal scenery in recent years. Social media posts have spread the word, particularly among young domestic travellers, and nowadays, weekends and public holidays are crammed with Vietnamese visitors. But Nam Du, during the week at least, is still an off-the-beaten-track destination – you won’t find many foreign travellers here; or many travellers at all for that matter, providing you visit Monday to Friday. Google Maps doesn’t really work on the Nam Du Islands and tourist infrastructure is limited to several dozen local guest houses and a handful of mini-resorts. But, of course, things are set to change. 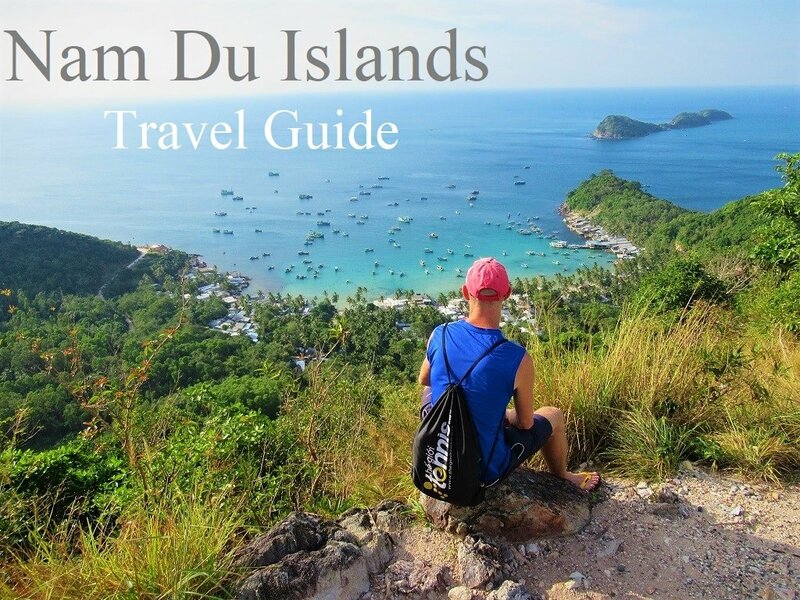 If you really want to see the islands before the onset of major development (just like Phu Quoc Island 10-15 years ago), then you mustn’t delay your trip to Nam Du for long. Even today, one gets the feeling that, just a couple of years ago, the ocean would have been cleaner and the jungles greener than they are now, thanks to the inevitable impact of rising visitor numbers. On the main island of Nam Du (Hon Lon), there’s only one road. This narrow, paved lane circumnavigates the entire island, passing almost all of the island’s beaches, attractions, places to stay and eat. It’s only about 15km in total, making it easily ridable by scooter (see Getting Around for details). 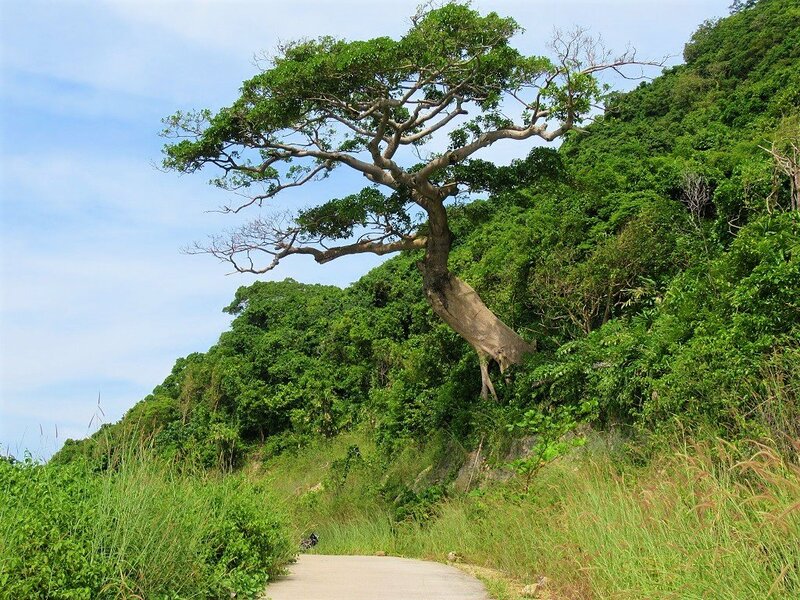 In general, the western coast of Nam Du Island is more rugged, beguiling, enchanting, and pristine than the eastern. The interior of the island is mountainous and green. 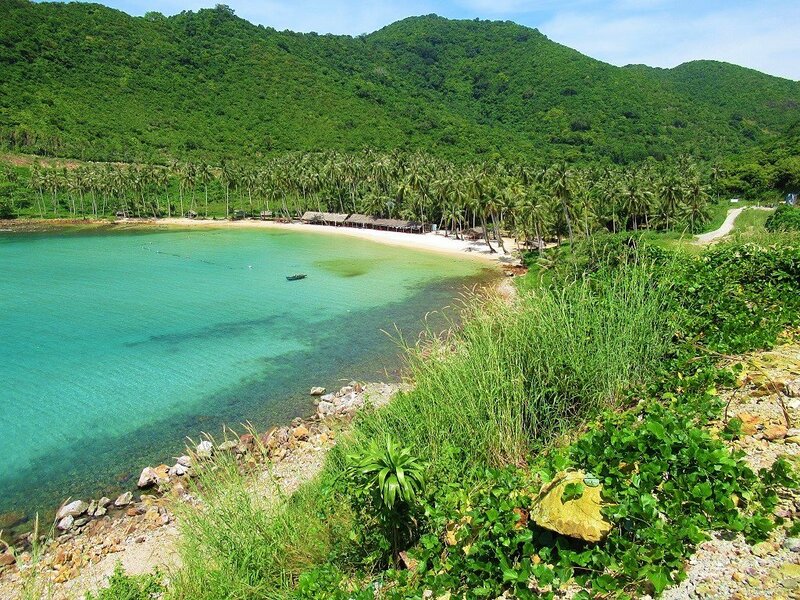 On the outlying islands, the main attraction is the white sand beach on Hon Mau, called Bai Chuong, and some fun (if not particularly impressive) snorkeling off the coast of a couple of the rocky, uninhabited islets (see Beaches & Activities for details). As is the case with all islands in Vietnam, prices are generally a bit higher than on the mainland. Food (with the exception of seafood), drink, and accommodation are all around 30% more than you’d expect to pay on the mainland. It should be noted that, as beautiful, undeveloped, and serene as Nam Du currently is, it’s a very small and fragile place. Just like the Con Dao Islands, Nam Du is an extremely delicate environment: you can already see and feel the changes and the impact that tourism and development have had here. Even though the main island has only really seen significant visitor numbers in the last few years, and even though electricity is still limited to generators (which billow black smoke and leak black oil), and daily fast boats connecting the mainland have only been operating since fairly recently, the sea water and the beaches are already beginning to show signs of awful pollution from plastic and oil, and the interior forests are disappearing. But what can you do when everyone on the island suddenly has access to plastic containers and building materials, and hundreds of tourists (on weekends during the high season) come, see, eat, drink, and leave their trash behind? The infrastructure for garbage collection is slowly being implemented – there are trash bins, information signs, a daily trash car. 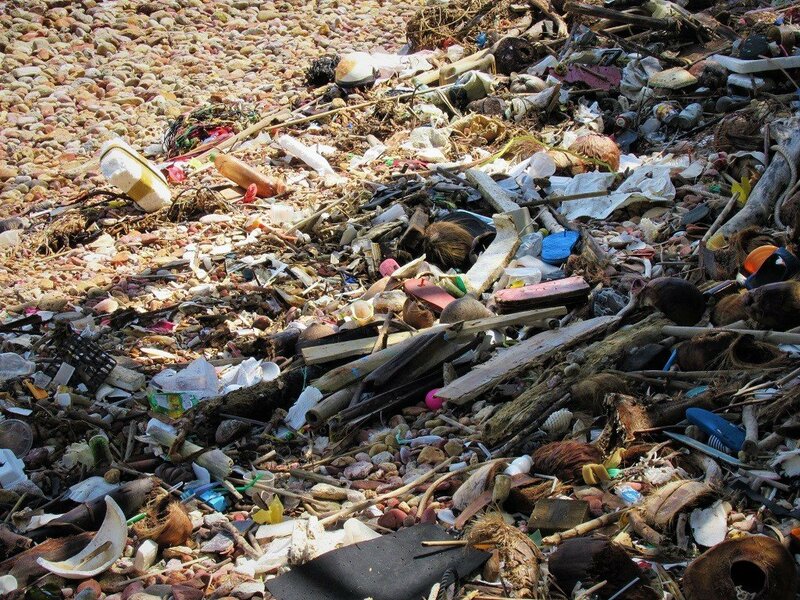 But where does it all go: into a landfill on the island that just gets bigger, smellier, and more toxic with each year, just like those on Con Dao and Phu Quoc islands. The impact of plastic, building materials, and tourism in small, self contained places, like Nam Du, is so apparent and so fast that it’s shocking to see. I don’t have any answers, and, as a continual traveller, I’m obviously part of the problem, but the very least you can do it dispose of your trash responsibly, and, if possible, bring your own reusable containers for food and drink. At the time of writing, a landfill is being carved out of the forest on the western coast: I expect to see its ‘progress’ every time I revisit the island. 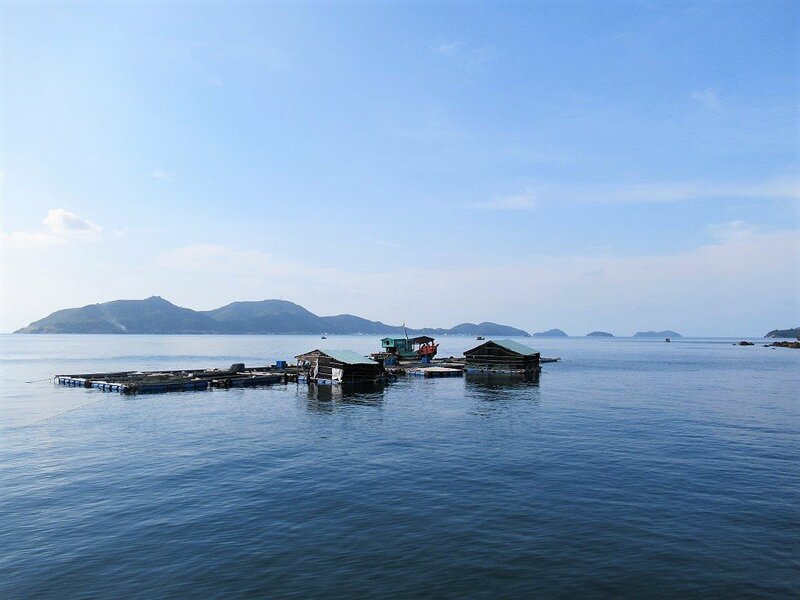 There are two main things to do on the Nam Du Archipelago: explore the main island of Hon Lon (also referred to simply as Nam Du), and take a boat trip to some of the outlying islands. If you’re really pushed for time, 24 hours (taking the early morning boat from Rach Gia, and the mid morning boat back the next day) would be sufficient to make a circuit of the main island of Hon Lon. But, ideally, I’d recommend at least 2 days and nights on Nam Du: one to explore the main island; the other to take a boat trip to the outlying islands. With 3 nights, you have plenty of time to see and experience everything this archipelago has to offer. If possible, try not to visit on a weekend or public holiday, when the islands get very crowded. It really is a different (and more peaceful) experience if you visit on a weekday. Note: Although Google Maps doesn’t show Nam Du Island’s roads and landmarks, it’s still possible to use my map as a reference to get your bearings and an idea of the lay of the land. Just bear in mind that the pins and markers are obviously only approximate. Nam Du’s main island is Hon Lon (‘Big Island’ in Vietnamese). Hon Lon occupies the western flank of the archipelago, with the port village of Bai Tret (also known as Cu Tron) sitting in a bay on the northeastern coast. I’ve written the following beaches and attractions on Hon Lon as if travelling clockwise around the island on the coast road, starting from Bai Tret. 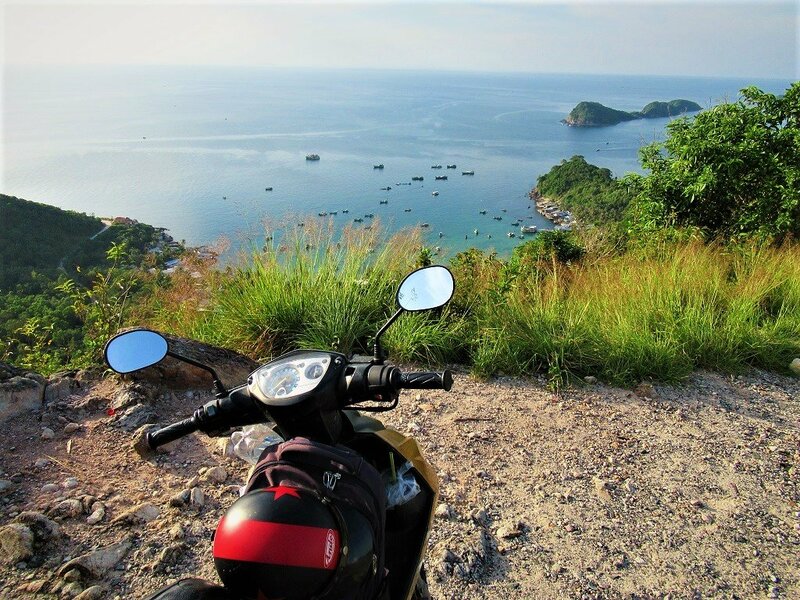 The best way to explore the island is by hired scooter (see Getting Around for details). There’s only really one road on Hon Lon, and this circles the entire island. It’s only about 15km in total, so riding a circuit of the island, without any stops, just takes around 20 minutes. But, of course, the whole point is that you do stop: for swims, picnics, exploration, and just to stand and admire the views and peace of the island. Bai Tret Hamlet (Cu Tron): The island’s main port and the centre for food, drink, and accommodation, Bai Tret is built on a very narrow strip of land at the foot of forested hills rising sharply from the ocean. 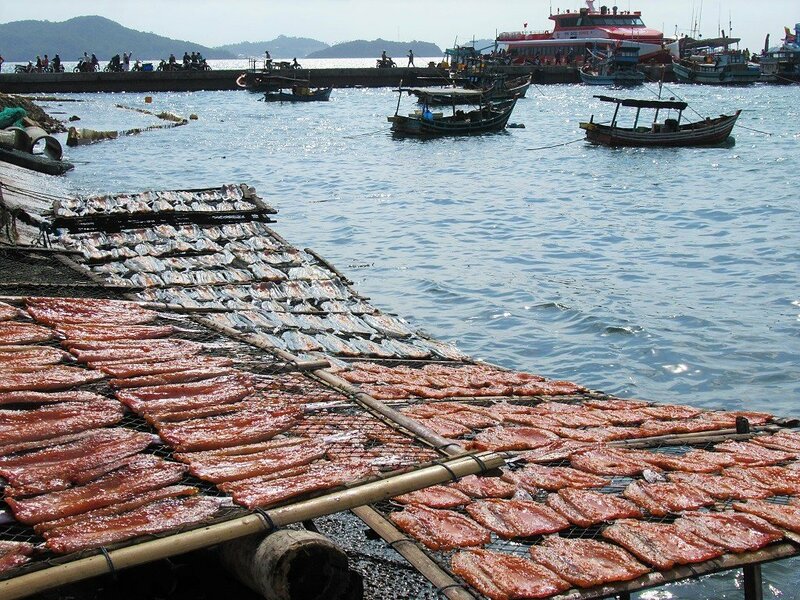 The boat pier is scruffy and busy; a jumble of ticket kiosks, seafood shacks, fishing boats, and cafes. The village itself is a warren of tight alleyways, crammed with concrete homes, eateries, local convenience stores, mini-wet markets, and cheap guest houses. Stock up on food and water here if you’re planning on exploring the island for the day. (See Food & Drink and Accommodation for details). The settlement of Bai Tret (Cu Tron) is small but sprawls along the narrow strip of land to the south of the port. A tight, paved lane leads through the covered alleyways as they pass by fishermen’s dwellings, with the occasional humongous banyan tree towering above the corrugated iron rooftops. It looks like a slow, salty, labour-intensive existence: men working the boats and the nets, women keeping the house, the children free to roam the sandy lanes and yards, happily jumping from chicken coup to beach. The locals I met were extremely warm and friendly. It’s only in the last few years that foreign travellers have started to arrive. Mieu Ba Chua Xu is a small, ornate temple beneath a banyan tree, which is worth a quick visit. Trash is a problem, as it is everywhere in Vietnam, but especially in small coastal communities like this one. Common practice is to throw everything in the sea, partly because there is little awareness of the problems of garbage, but partly because local trash collection has only recently been implemented. As connections to the mainland have become better, visitor numbers have risen, the population has swelled, and plastic has become more common. Now, much of the coastline around Bai Tret is clogged with plastic. 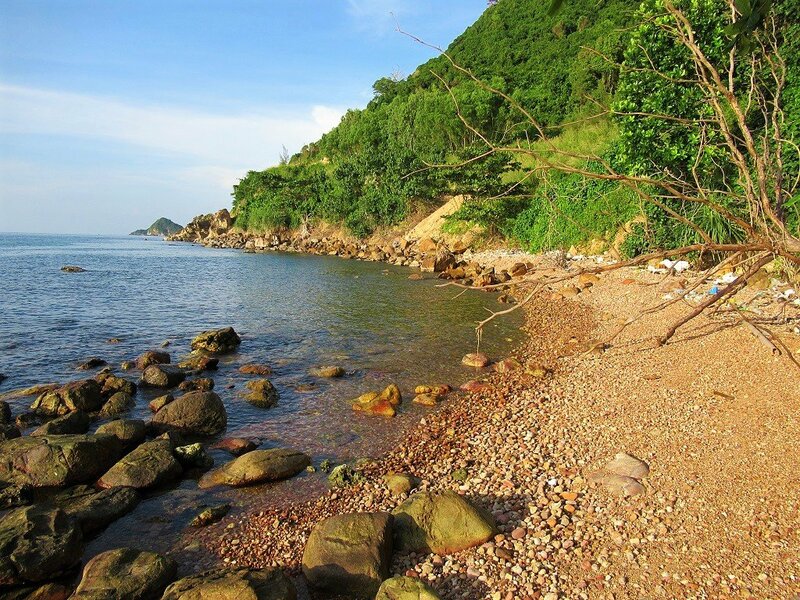 But, in general, away from the island’s hamlets, Nam Du’s coastline and interior is still clean and pristine. Southeast Beaches: The coast road begins behind Bai Tret port with a steep ascent before bearing left (due south) along the shoreline. Winding south of Bai Tret, mostly along a precipice several metres above the wash, the road occasionally skirts the ocean, opening up views to rocky bays studded with coconut palms and tropical almond trees. These bays, in the southeast of the island, have a handful of fairly basic tourist developments on them (see Accommodation details). Unfortunately, although the pebbly beaches and bays between Bai Tret hamlet and the southern tip of the island are very beautiful, when you get close, they are rather tainted by trash. 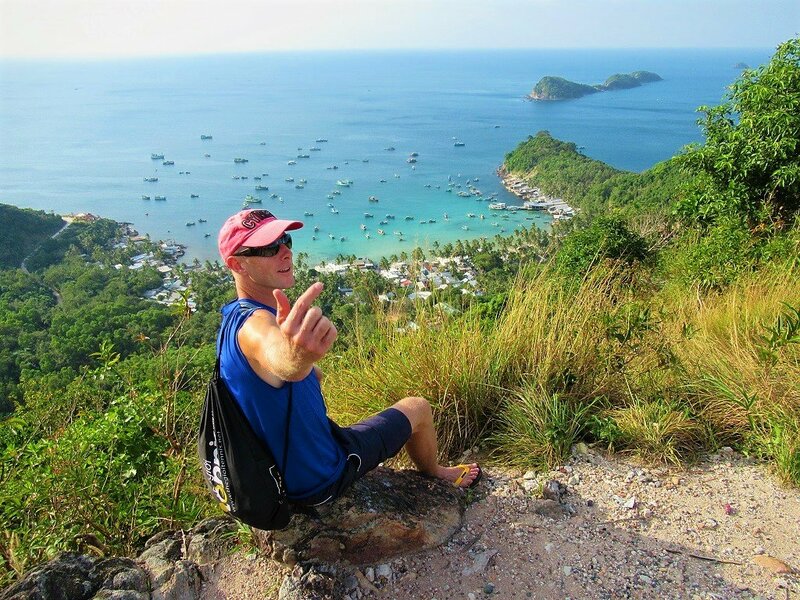 These small bays are perhaps best referred to by the names of the accommodations on them: for example, Phong Vu is a very pretty little beach, Bai Soi next door is also attractive, and lastly, Humiso is a wonderful ledge of land near the tip of the island. Stopping by for a drink and to admire the views is great, but you can’t ignore the trash. Some of it washes up and gets stuck on the rocks, but some of it is the result of visitors and locals discarding their waste on the beach. However, at some spots the litter is light enough to ignore, and the water is still very clear, and teeming with fish. 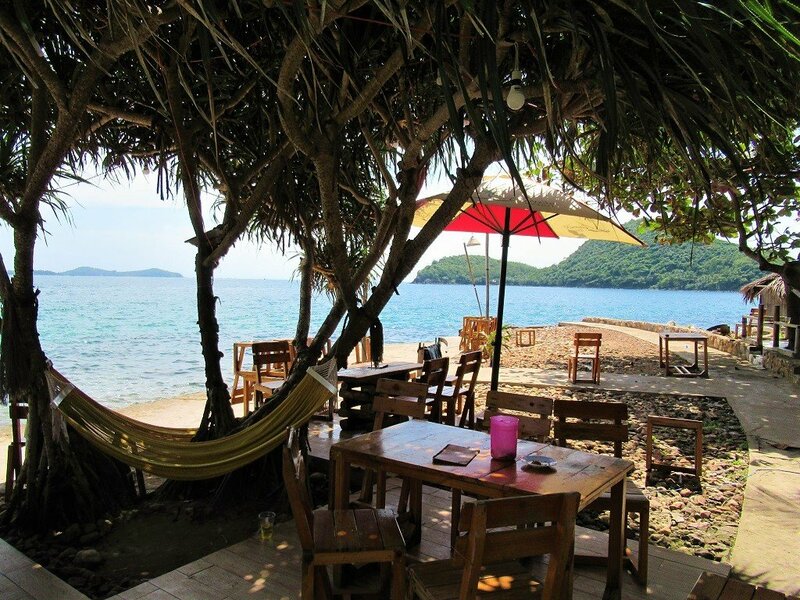 Phong Vu is probably the best to swim at, Bai Soi is best for lunch, and Humiso is best for a drink in one of the hammocks overlooking the sea. West Coast Beaches & Interior: The west coast of Hon Lon is the more rugged, attractive, beguiling, enchanting, and pristine side of the island. When the coast road rounds the southern tip of Hon Lon, the beaches, bays, air, sea, and light all appear to get clearer and, well, better. The road soars high above the sea, overlooking several small, lush islands to the south. The first beach on the southwest coast is Bai Cay Nho, a little, pebbly bay with clear blue water. But, just beyond this is Bai Cay Men, easily one of the most picturesque beaches in the country. This glorious white sand beach is fringed by leaning coconut palms, that appear to be kowtowing to the ludicrously turquoise waters. The surf is gentle, there’s a light sea breeze through the rustling palms, and trash (despite Cay Men being the most popular beach on the island) appears to be under control. A couple of low-impact wood-and-thatch huts serve fresh, utterly delicious, local coconuts – ask for a dừa lửa: it’s the sweetest and tastiest I’ve every had – as well as some seafood, light snacks, soft drinks, and beer. Best of all, you can camp here for virtually no money at all: surely, one of the best camping spots anywhere in Vietnam (see Accommodation for details). As you might have guessed, swimming at Bai Cay Men beach is wonderful. As the road continues along the western coast, a couple of concealed pathways lead off to several nice bays of volcanic rocks, that are quiet, secluded and good for a swim or picnic. However, the nearby landfill might put you off. All along the coast, large tropical trees extend above the jungle canopy, looming over the road. Further still, towards the northwest of Hon Lon, the roadside temple Dinh Nam Hai Ngu Than is the island’s centre for whale worship. A long tradition going back centuries, whales are worshiped by fishing communities as deities of the ocean, and they are believed to bring good luck to sailors. 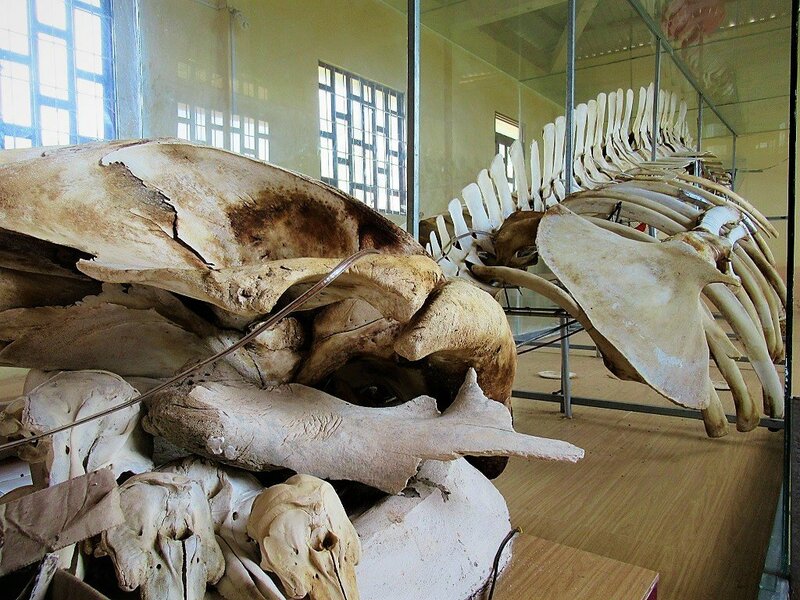 One of dozens of similar temples along Vietnam’s coastline, Dinh Nam Hai Ngu Than plays host to an assemblage of whale bones, including a near complete skeleton of a whale about 3 metres long, and several baby whale skulls. The temple looks out over Bai Ong Ngu fishing village, which is a beautiful, sheltered bay with a crust of brick, concrete and corrugated-iron dwellings around it. This is the main fishing hamlet on the island. It’s a hive of narrow alleys and friendly locals that’s worth exploring. 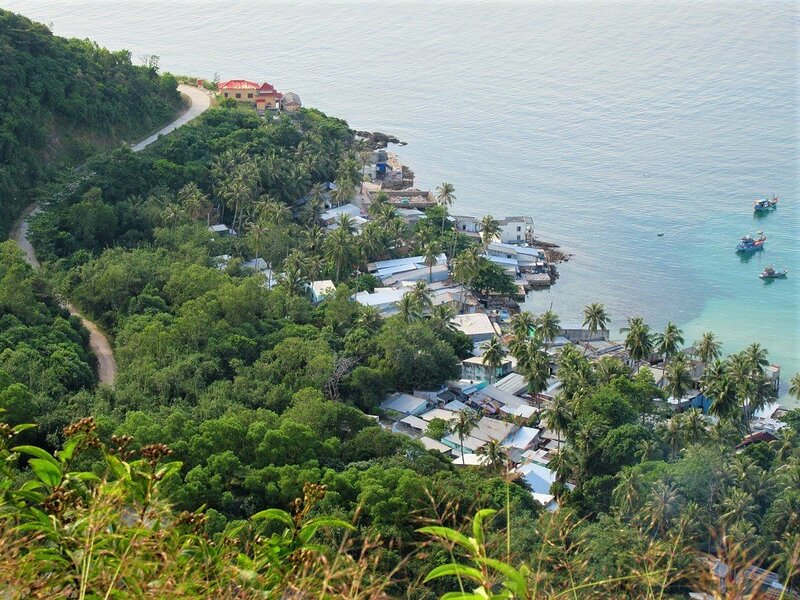 After Ong Ngu village, the road veers east and up a steep slope, which then descends the other side back to Bai Tret port, thus completing the circuit of the island. But, just before reaching the top of the incline, a left turn (due north) rolls steeply downhill to Dat Do Beach. A crescent of sand backed by a lush, hilly headland encompassing a sky-blue bay, the setting is gorgeous. There’s construction of a high-end hotel at the northern end of this bay, but the southern end is accessible. 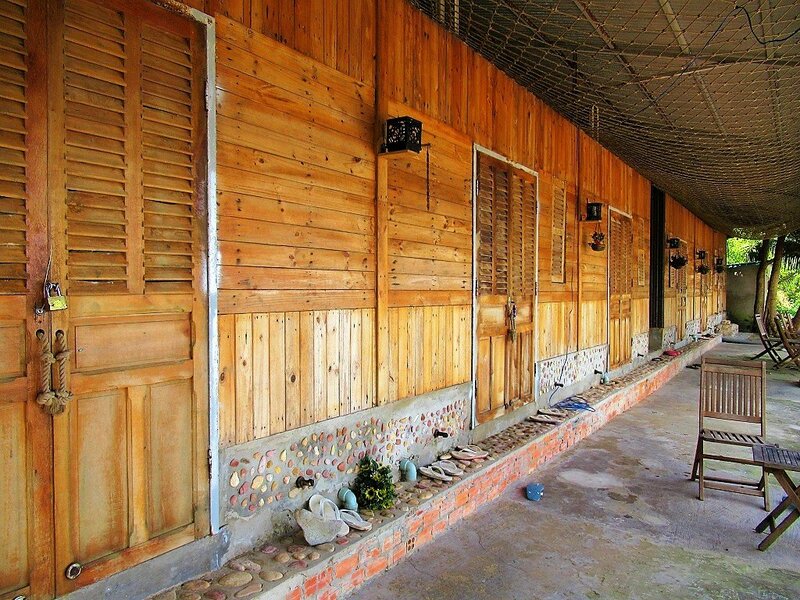 There’s also a rustic guest house, called Kim Xoan (see Accommodation for details). Before the road descends back down to Bai Tret, a small turning on the right (due south) leads up into the jungle-covered interior of the island, all the way to the mountaintop lighthouse, military post, and communications mast. You may not be allowed to continue all the way to the top, but it’s still worth the detour to go as far as you can, because the views down over the entire island – indeed, the entire archipelago – are staggering. Note that the road is incredibly steep, and some bikes might struggle, especially with a pillion. You could walk, too, but it’s a reasonably hot, long, and steep trek. You should be able to get all the way to the entrance of the lighthouse, where you’ll be greeted by a troupe of very nice (and very young) army personnel. You could perhaps try asking to buy a ‘ticket’ to the lighthouse and see if that works, but if not it’s still well-worth the trip just for the views. Back in Bai Tret, the evenings are cool and perfect for walking along the seafront and exploring the hamlet. There’s a refreshing breeze, which blows up a bit of chop on the sea, causing the wooden hulls of fishing boats to bob out of time with each other. Meanwhile, the bright beam from the mountaintop lighthouse keeps circling the archipelago, like the eye of Mordor watching over the islands. There are around 20 islands, islets and outcrops within the Nam Du Archipelago, encircling the main island of Hon Lon. A few are permanently inhabited, but most are completely isolated. It’s very easy, cheap, and really good fun to take a full- or half-day boat tour from Bai Tret out to the other islands in the archipelago (see Getting Around for details). These boat tours have set itineraries, which generally include the most interesting islands and best beaches. However, you can also hire a private boat for the day, but it will cost you a lot more (upwards of $100). Hon Mau Island: The most impressive and worthwhile stop on the boat tour itineraries – apart from the simple pleasure of being out on the waves and getting a different perspective on the archipelago – is Hon Mau. 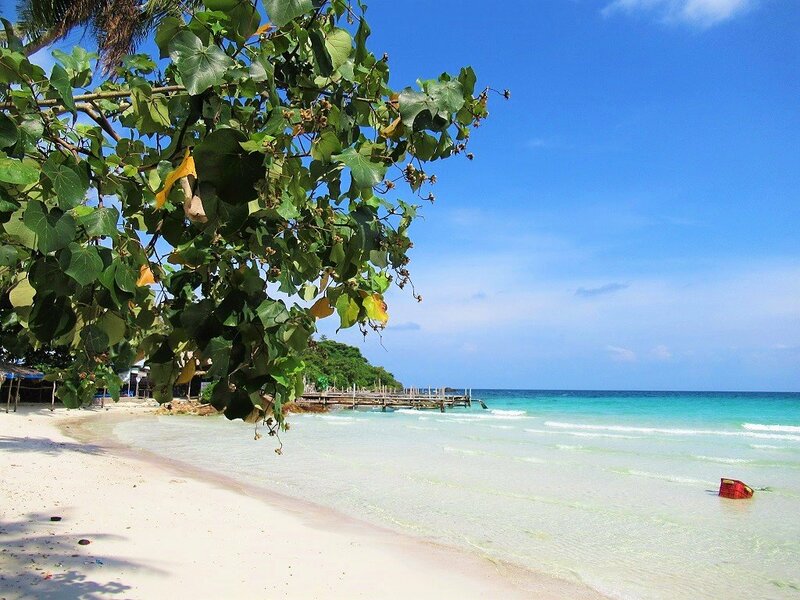 In the southeastern corner of the archipelago, Hon Mau is most notable for Bai Chuong Beach, a seam of white sand laid out under coconut palms and umbrella trees, with surf the colour of aftershave. The colours here are intense and blindingly bright. 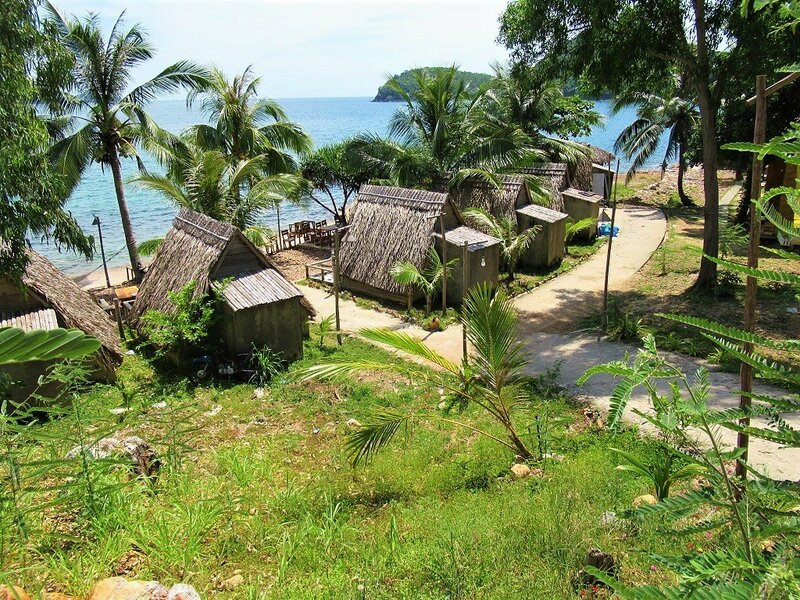 There’s an active fishing community of Hon Mau, but tourism is gradually taking over, with wood-and-thatch shacks and clapboard seafood restaurants setting up along the sand. The rest of the coast is pebble beach with a crust of trash. Indeed, if it weren’t for Bai Choung Beach – whose sands are kept relatively clean – there wouldn’t be much reason to visit to Hon Mau. But the colour of the water is special and the swimming excellent. Boats stop here for at least an hour, so there’s time to bathe in the ocean, drink a coconut, eat a snack, and explore the island on foot. If possible, get here early or in the middle of the day, because late afternoons often get very busy with large groups of domestic tourists, which involve a lot of beer and rice liquor and loud music. It’s all great fun, and you’ll probably get to join in, but it sure does make a mess of the beach. 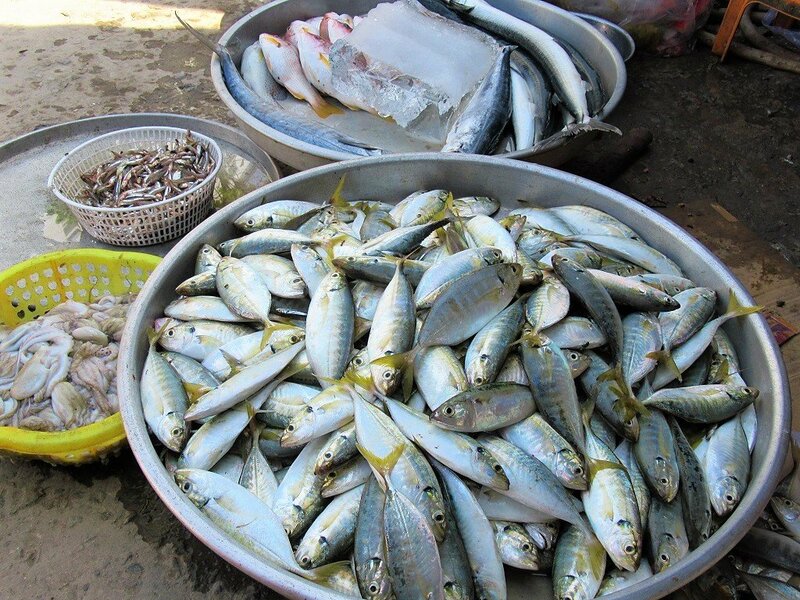 At the southern end of Chuong Beach is the fishing community. Simple wood, brick, and iron-sheet homes line a paved lane. Everything revolves around fishing, and it’s very labour intensive: cleaning and mending the nets, maintaining the boats, salting the fish. Men and women work together in groups, and there are animals everywhere – chickens, ducks, dogs, cats. It’s a friendly, fascinating community to stroll through – a glimpse into a life that, for me at least, is difficult to imagine. 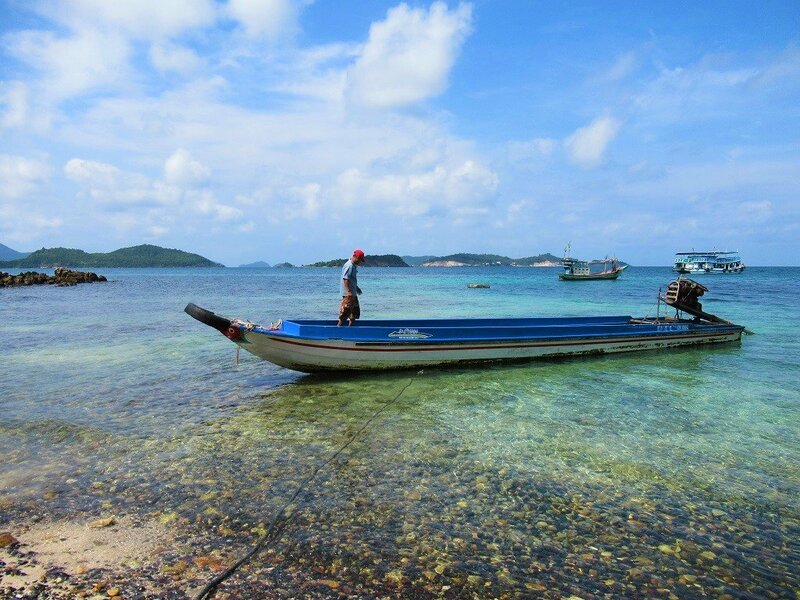 Snorkeling & Other Islands: Although the coral around Nam Du isn’t spectacular, the sea is very clear and calm, making snorkeling a rewarding activity. However, the coral is severely damaged and mistreated by the local fishing and tourism industry, and none of it will last much longer. Most boat tours stop off the shores of Hon Bo Dap, a small, rugged, uninhabited island, for an hour of snorkeling beneath a sheer rocky cliff, where the coral is good enough to make it interesting. 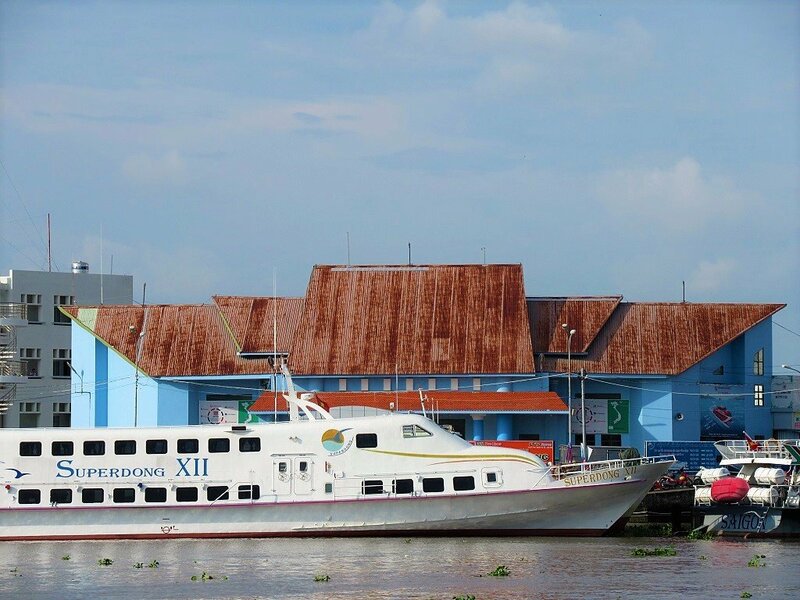 Other islands that are regularly visited on the boat tours include Hon Dau (also called Hon Trung) and Hon Ngang. I’m sure many more islands will open to tourism in the near future. • Nhung Nam 2 Guest House [MAP]; Tel: 02973 830 800 | 300,000-500,000vnd: In a prime position right on the harbourfront, this is a new building with very clean, comfortable but simple rooms. Seaview rooms come with balconies overlooking the port (500,000vnd). The cheaper rooms are at the back (300,000vnd). Great value for double occupancy, and you can’t beat the location. 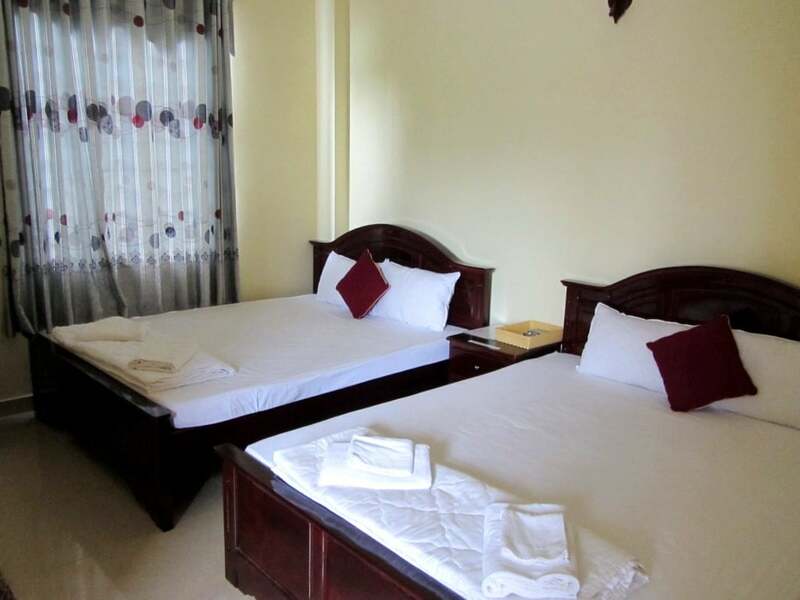 • Huynh Hoa 2 Guest House [MAP]; Tel: 0919 11 55 43 | 250,000-500,000vnd: On the left as you come from the harbourfront road and turn onto Bai Tret’s ‘high street’ (it’s just an alleyway, really), this fairly large guest house has clean, bright, simple rooms, some with balconies looking over town. There are rooms with four beds, which would be good for a group of travellers sharing. 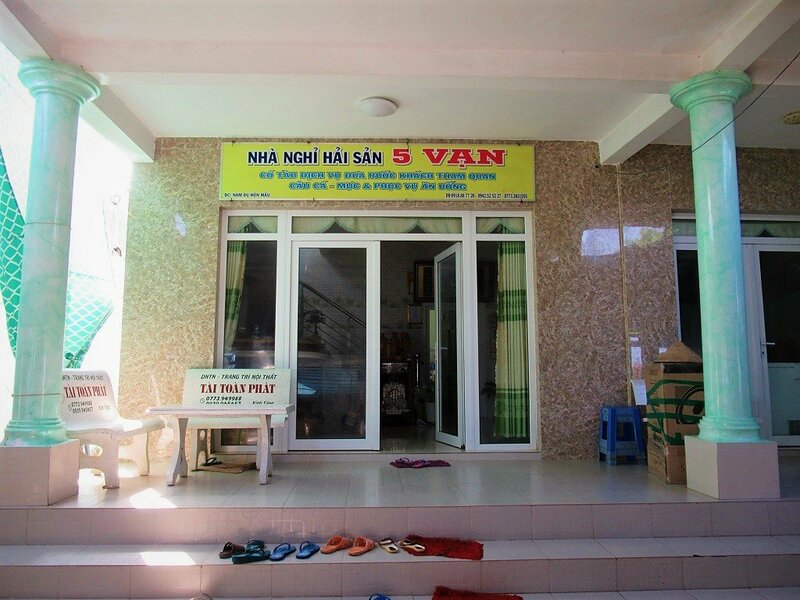 • Thuy Kiep Guest House [MAP]; Tel: 02973 830 853 | 250,000-450,000vnd: A litlle further up the ‘high street’, this is another simple, clean, quiet local guest house. It’s breezy, shady, and calm. 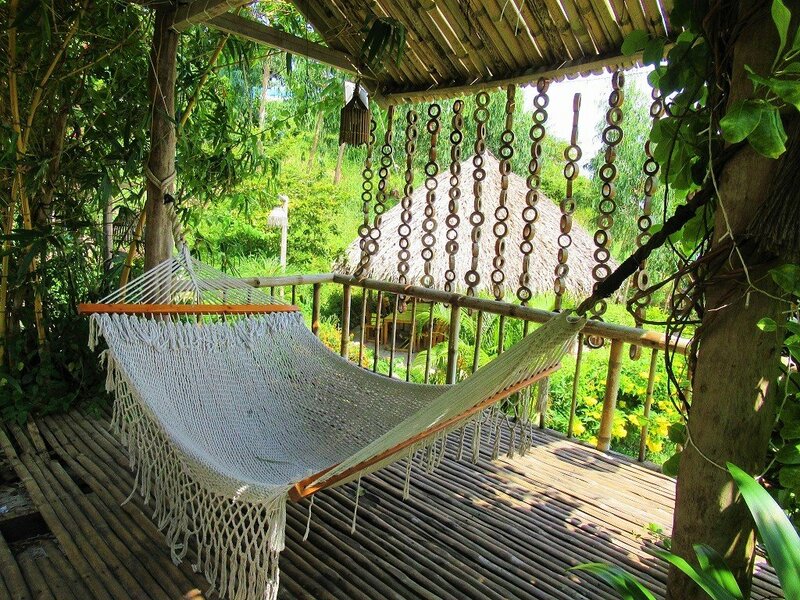 • Khanh Vy Guest House [MAP]; Tel: 093 290 5920 | 300,000vnd: Just a few minutes out of Bai Tret village, this otherwise rather ordinary guest house is raised above the sea, giving it great views out over the ocean. • Thao Thuong Camp [MAP]; Tel: 098 538 8885 | 600,000vnd+: Don’t be fooled by the name: ‘camp’ and ‘homestay’ get thrown around hither and thither in the Vietnamese tourism industry. All it really means is ‘small scale’. 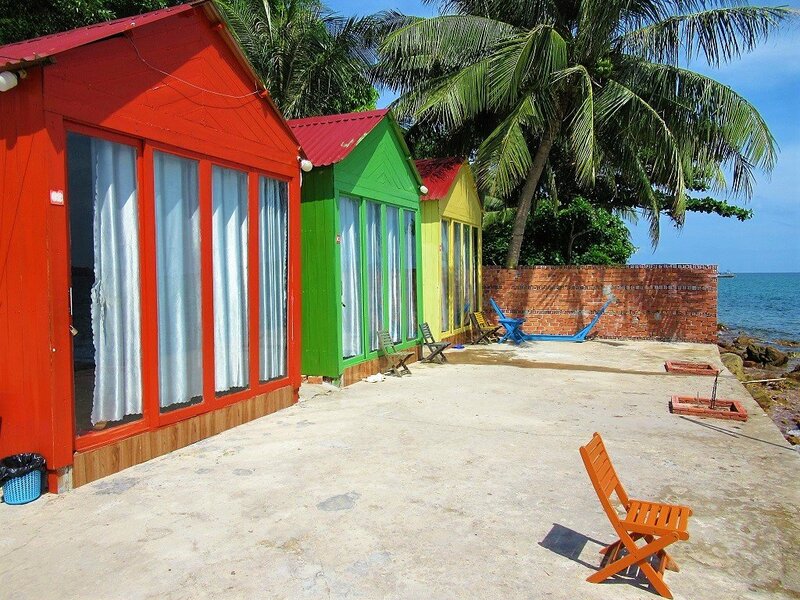 Thao Thuong Camp is a little collection of tightly packed, colourful bungalows right on an attractive stony bit of coast. It’s comfortable and cosy, but the property is fairly cramped and the whole set-up is designed for selfie-snapping Vietnamese youth. The bungalows are made of corrugated iron and glass which get very hot: most guests had the curtains closed and the air-con on full blast all day. It’s absolutely fine for a night with friends, but I wouldn’t say it’s particularly good value for money. 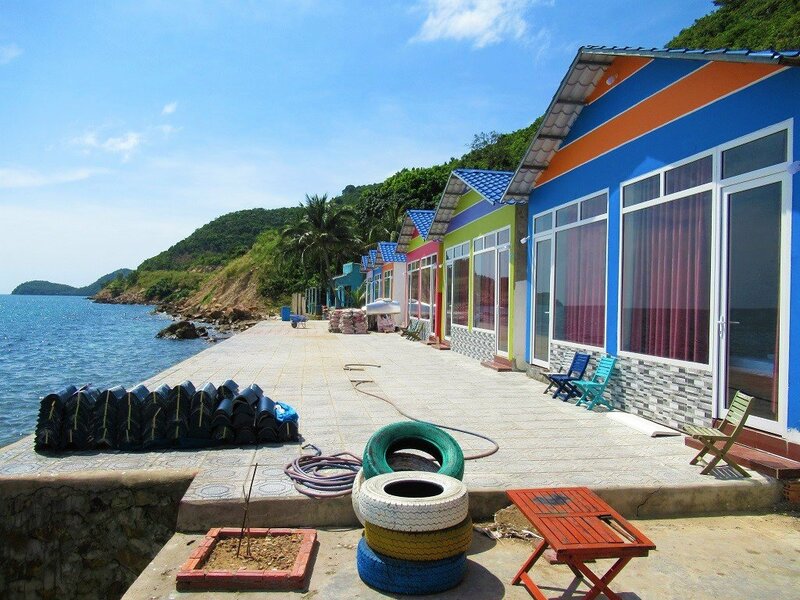 • Phong Vu Guest House [MAP]; Tel: 0919 138 3690 | 300,000vnd: With a good position on a pebbly beach, Phong Vu is lush and very attractive. 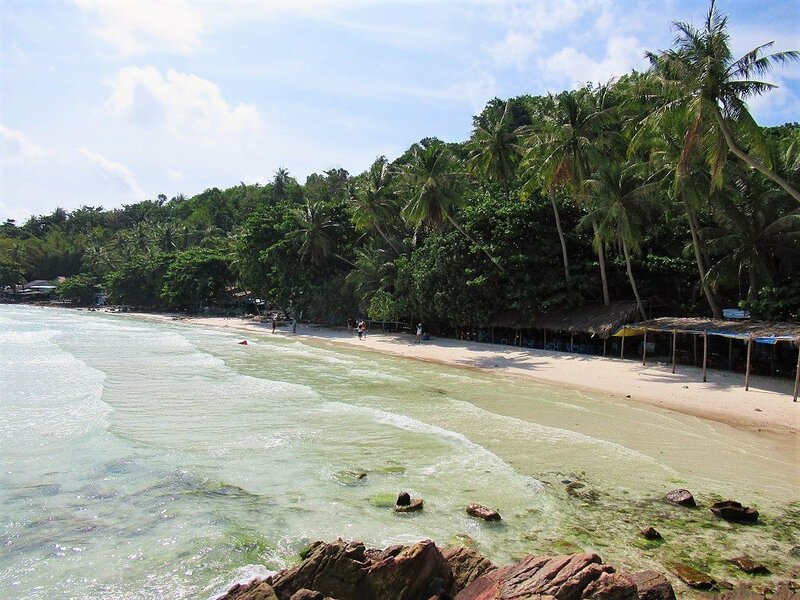 Set in the shade of coconut palms with the sea lapping at a picturesque boat pier, the accommodation here is basic but acceptable, considering the location. Concrete or wooden rooms are arranged in a line along the seafront. Sadly, the litter on the beach and in the ocean is such that it may put off some foreign guests (Vietnamese customers appear to have a higher tolerance for trash-strewn beaches). If it’s kept clean, Phong Vu is a lovely spot. 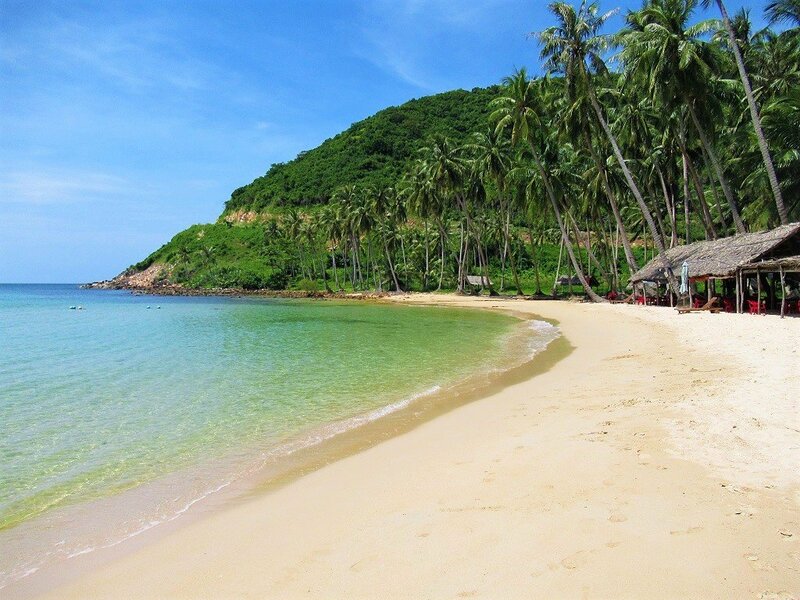 • Bai Soi Beach [MAP]; Tel: 02973 830 853 | 350,000-500,000vnd: On the next little bay down from Phong Vu, Bai Soi Beach is a similar property on a similar pebbly beach. However, the rooms and the restaurant at Bai Soi are better than Phong Vu, but the trash is worse. Some of it appears to by flotsam and jetsam washed up on the tide, but some of it appears to be household and picnic trash. Either way, with the beach in its current condition, Bai Soi is a bit sad, even though it’s a beautiful little bay with leaning palm trees. 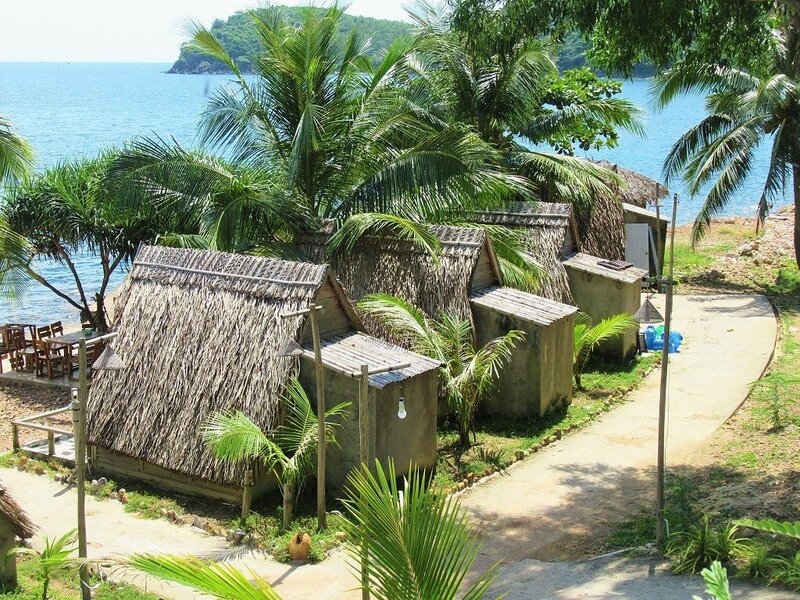 Rooms are in wooden huts by the sea. 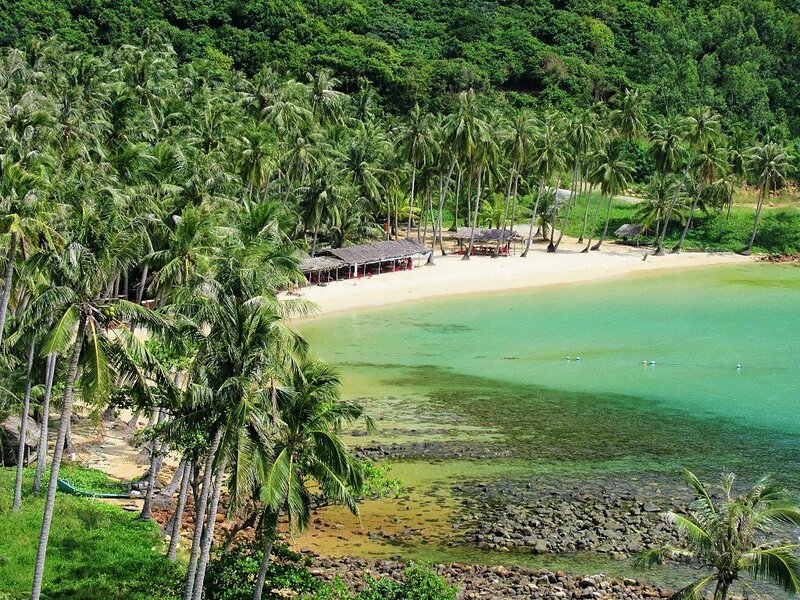 • Humiso Nam Du [MAP]; Tel: 093 566 9968 | 400,000-800,000vnd: Close to the southern tip of the island, Humiso is the most resort-like accommodation to date on Nam Du. Set on a beautiful patch of coastline and climbing up the lush hillside behind, with views over the outlying islands, Humiso has a range of attractive-looking, wooden-and-thatch accommodation. 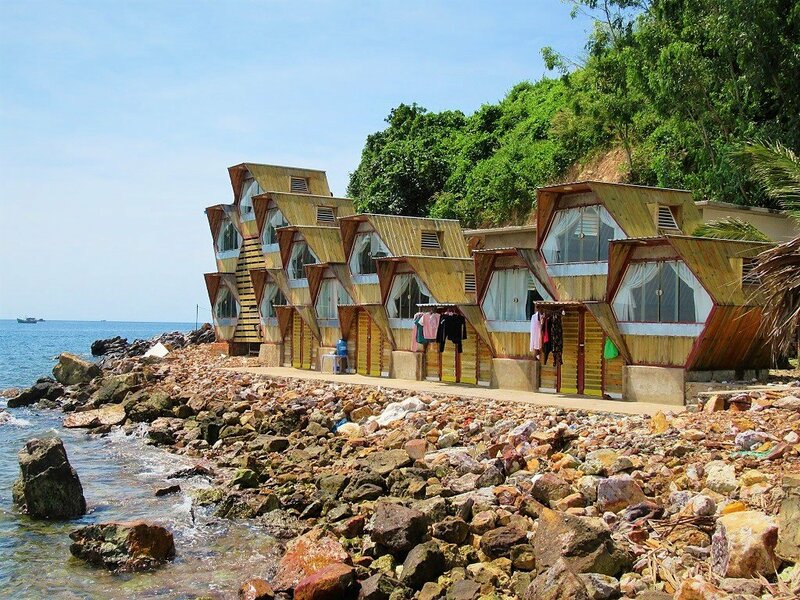 A-frame bungalows, sleeping 2-4 people (600,000-800,000vnd), are a bit of a tight squeeze inside, but generally fine. But the ‘star-gazing’ wooden cabins, which have transparent sloping roofs so you can look out at the sky, might be great on a clear night (despite the lack of privacy from outside eyes looking in) but are certainly not very practical when it’s 35°C during the middle of the day. The cheapest rooms (400,000vnd for double occupancy) are hexagonal cabins, stacked together like a three-dimensional puzzle. Sadly, trash from the resort and its customers is starting to ruin this property, and there’s something rather seedy about it, too: much of the litter strewn outside the rooms included condoms and empty blister packs of medical supplies. It sure is a pretty spot, but it’s becoming a victim of its own success: the selfie-hoards – who line up to take photos on the swaying hammocks overlooking the ocean – are taking their memories away with them, but leaving their litter. 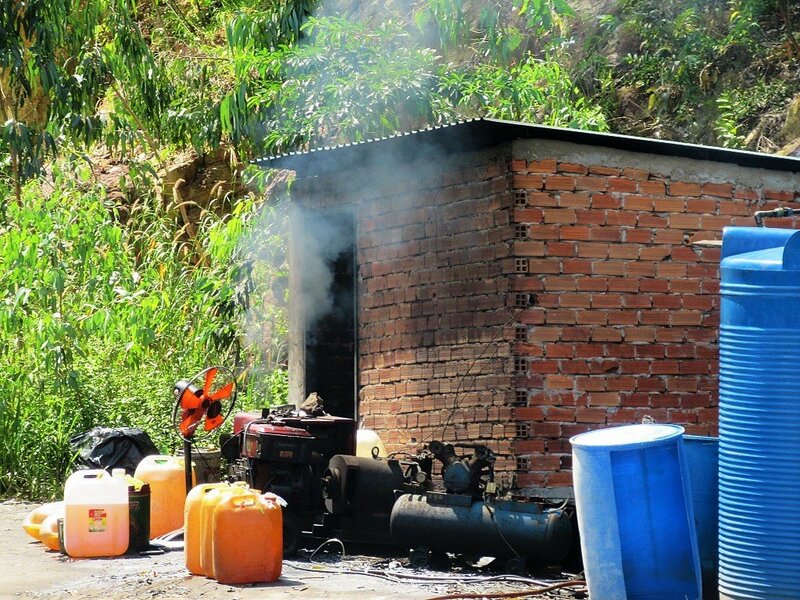 And the resort is struggling to maintain itself: an oil-powered generator – leaking all over the road – is constantly whirring away and chugging black smoke into the blue sky. • Camping on Bai Cay Men Beach [MAP]; 50,000vnd: By far and away the most romantic night you could possibly spend on Nam Du Island is to camp on the white sand, under the swaying palms, right next to the amethyst wash, on Bai Cay Men Beach. 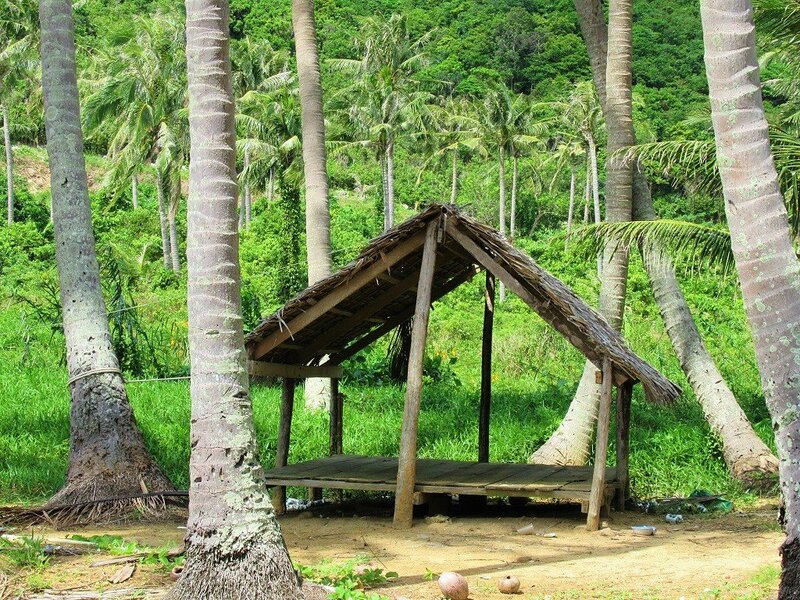 On the southwest coast of the island, tents can be rented (50,000vnd) from the thatched huts lining the beach. Or, if you have your own tent, it’s basically free (just ask permission first). 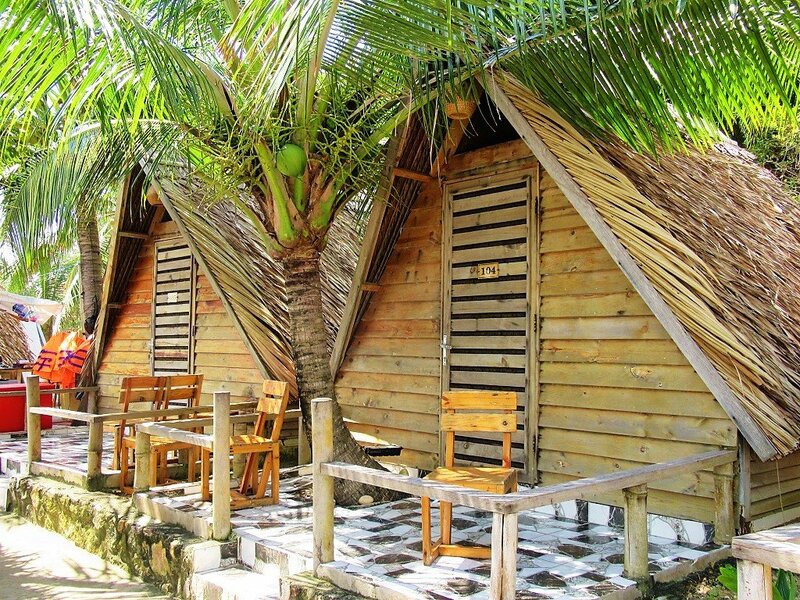 Pitch your tent right on the sand or back from the beach on a wooden platform under a thatched roof. Do it now, while you still can: this is the kind of beach that developers will pay millions for, as they have done on Phu Quoc Island and elsewhere in Vietnam already. It’s just too good to last, so don’t wait. There’s a bit of refuse around the edges of the bay, but not enough to distract from the general beauty of this beach. • Kim Xoan Guest House [MAP]; Tel: 0915 777 738 | 300,000vnd: There are a couple of fairly basic nhà nghỉ (guest houses) in the fishing village of Bai Ong Ngu, but it’s not really worth staying here. 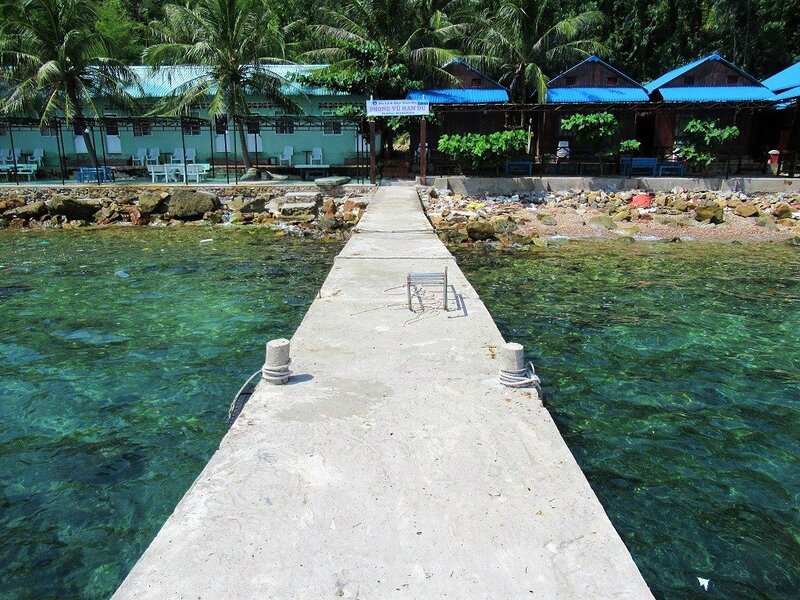 However, down a steep lane between Bai Ong Ngu and Bai Tret, follow the signs to Kim Xoan Guest House on Bai Dat Do beach. Although the little cabins on the seafront are weathered and a pretty run-down, the position is fantastic. 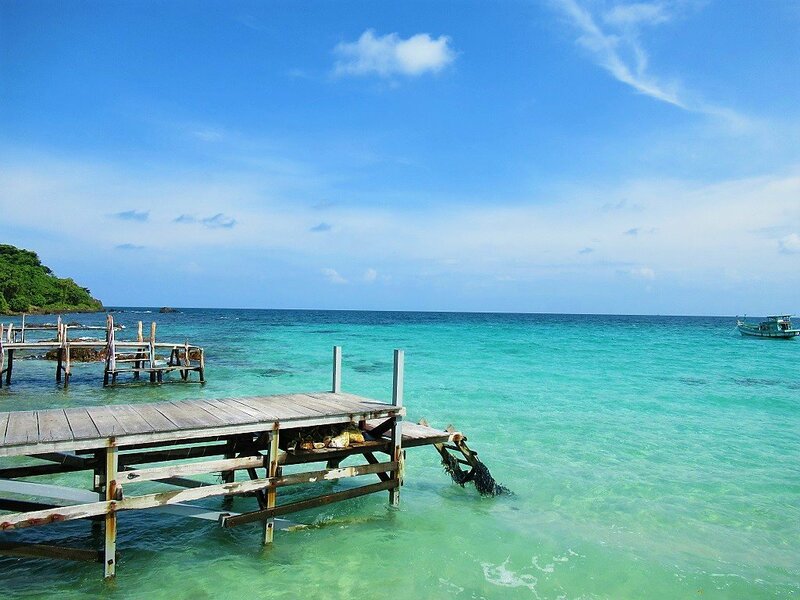 Bai Dat Do beach is very scenic and boasts turquoise water. There’s some trash around, of course, and at the time of writing there was ongoing construction at the far end of the beach, which will apparently be the first high-end resort on Nam Du. • Other Islands: [MAP]: A couple of the outlying islands have little guest houses on them, and camping is also a possibility – you just need to have your own equipment and hop on one of the daily tour boats to get to and from the main island. 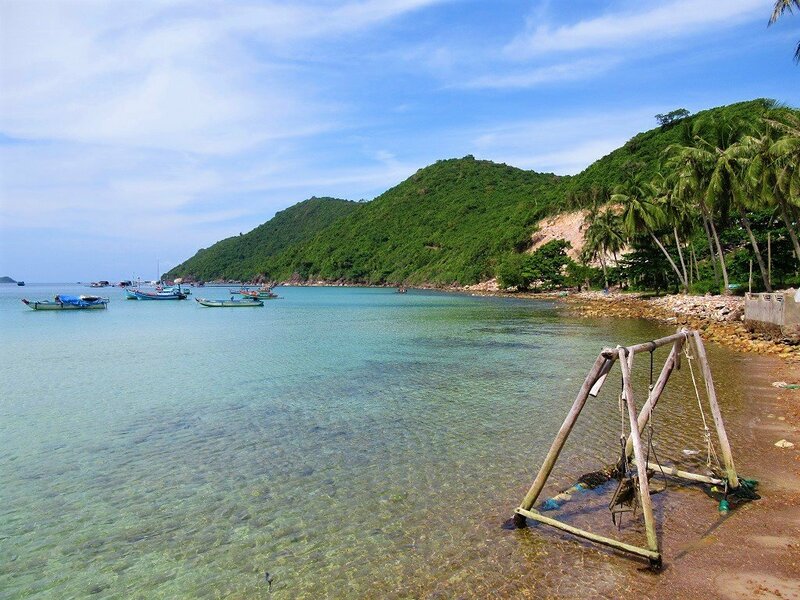 The most practical island to stay on is Hon Mau, where beautiful Bai Chuong Beach has hammocks for the night, or there’s a small guest house in the fishing hamlet: Nhà Nghỉ 5 Vạn (0773 831 555; 250,000vnd). All dining options on Nam Du are informal, casual joints: there are no Western-style restaurants or Western food. Obviously, being an archipelago, main meals (and even snacks) are all about seafood. But there are also bánh mì (filled baguettes) and xôi (sticky rice) stalls, and noodle soup and rice eateries here and there, offering the usual hearty, fresh, inexpensive Vietnamese ‘common fare’. Island specialties include dried fish and oysters, local candied tamarind (either sour or sweet), and coconuts, all of which are available along the seafront near the boat pier. 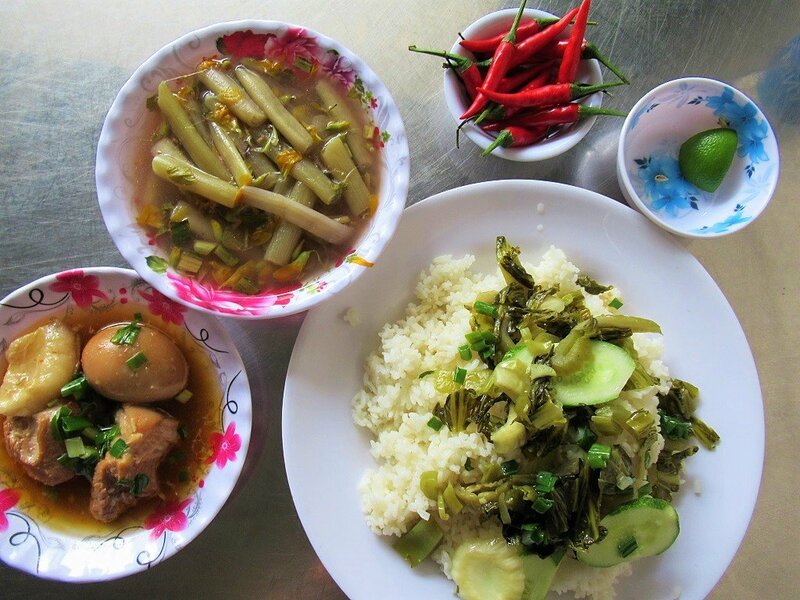 The majority of food and drink options are in the small village of Bai Tret. But there are a handful of other food outlets spread around the island. Bai Tret Port & Village: Along the seafront, near the boat pier, and lining Bai Tret’s main ‘street’ (it’s an alleyway, really) is where you’ll find most of the island’s food and drink offerings. Seafood: As the sun sets, tables and chairs are laid out on the quay by the ferry pier. Diners arrive, the beer flows, and fresh, live seafood of all varieties is sold by the kilo from buckets of salt water at incredibly reasonable prices (especially when compared with the inferior seafood at inflated prices that you find on Phu Quoc Island, just to the north of Nam Du). There’s a string of about a half dozen informal seafood restaurants here. The seafood is fresh, inexpensive, and simply cooked and presented. Choose from live sea urchins, grouper, tuna, shrimp, slipper lobster, oysters, sea snails, clams, cockles and much more. 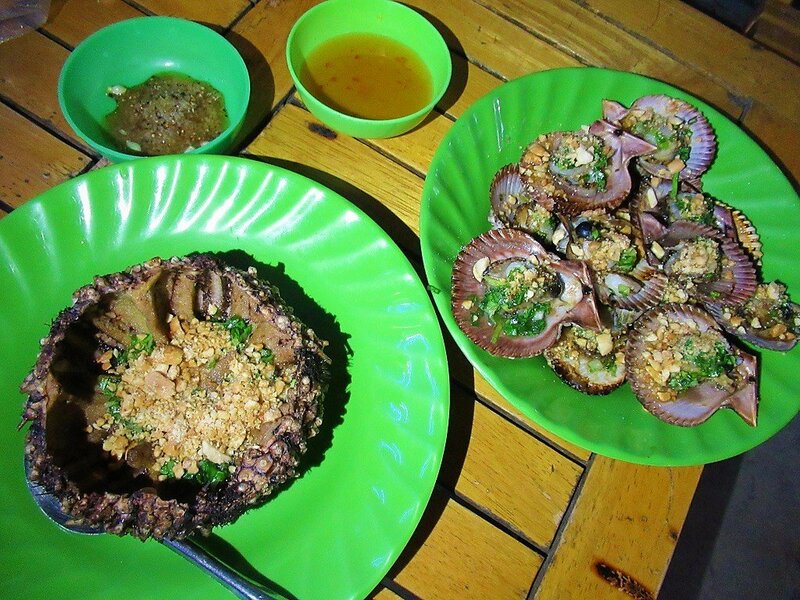 As an example, a couple of large grilled sea urchins and a plate of grilled scallops costs under $5 (100,000vnd). There are several restaurants to choose from: personally, I enjoyed Minh Sang. Other Food: During the mornings, bánh mì (filled baguettes) and xôi (sticky rice) vendors ply the harbourfront and main alleyways. 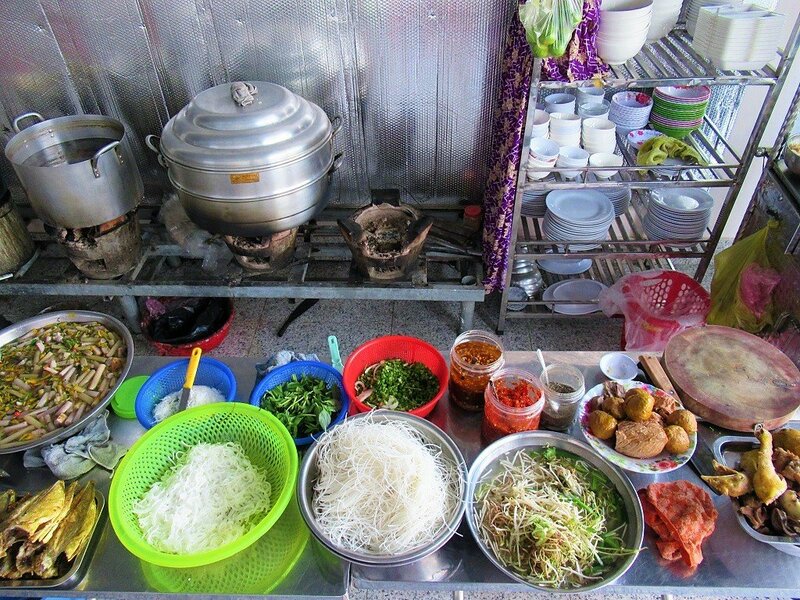 A couple of the quayside cafes also offer cơm tấm (broken rice and grilled pork) and noodle soups. However, my favourite place to eat on Nam Du Island is an excellent little quán cơm phở (rice and noodle joint) on Bai Tret’s main alley, called Yen Nhi. Try the bún bò Huế for breakfast, it’s extremely good – meaty, colourful, tasty, rich, and spicy. For lunch, they serve decent rice, meat, and vegetables. 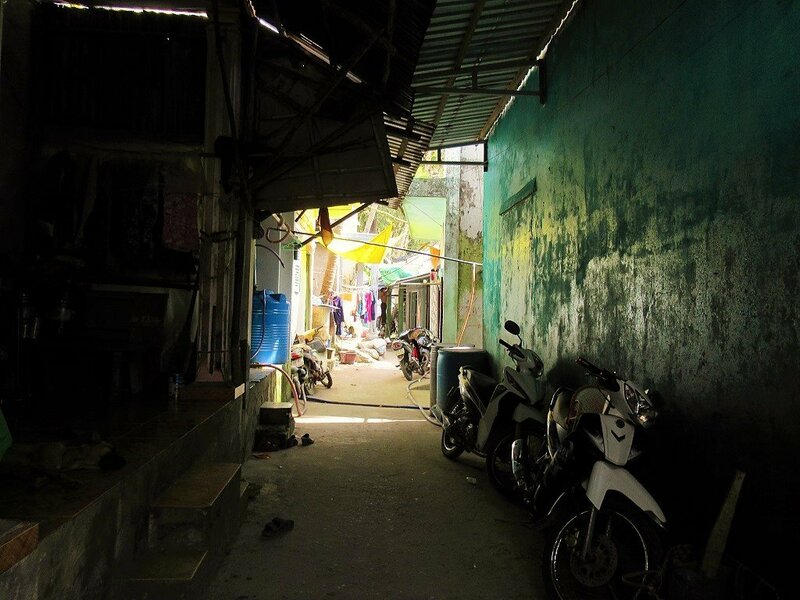 There’s a small local market where the seafront lane meets the main alleyway in Bai Tret. Also, a couple of grocery stores sell biscuits, water, and other snacks that are good to take with you on a trip around the island. 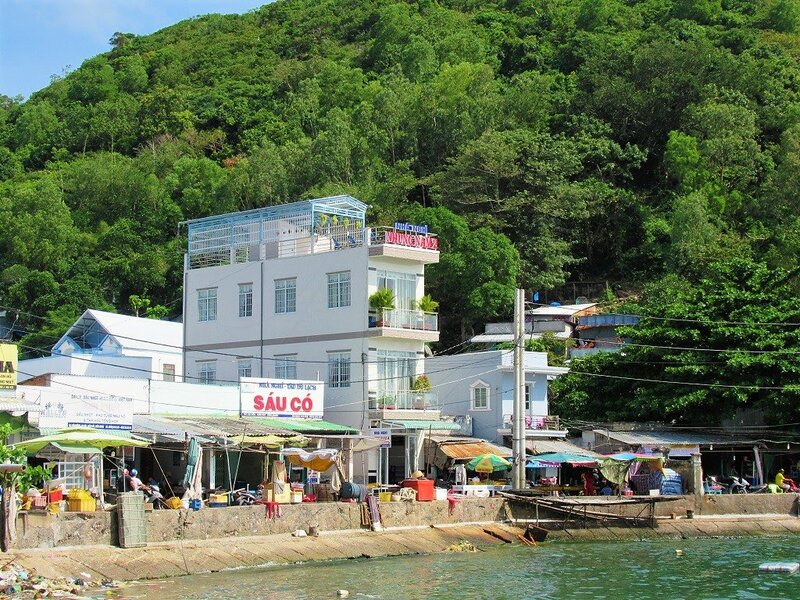 Coffee & Coconuts: There are several cafes in Bai Tret, some of which are on the quayside, that are very nice in the afternoon, when the fishing boats are leaving for the night, the harbour is calm, and the sun is setting. The coconuts on Nam Du Island are among the best I’ve ever had: make sure you try one. Ask for a trái dừa lửa uống liên – a small, reddish coconut with sweet water, that you can drink almost in one go. There’s very little in the way of food and drink around the island. But most of the accommodations outside of Bai Tret have restaurants serving snacks or meals. In particular, Bai Soi and Humiso, in the southeast of the island, have decent food and excellent locations. There are a few shops and snack vendors in Bai Ong hamlet, in the northwest of the island, too. Some of the outlying islands have informal seafood restaurants, especially the ones that are frequented by tour boats. 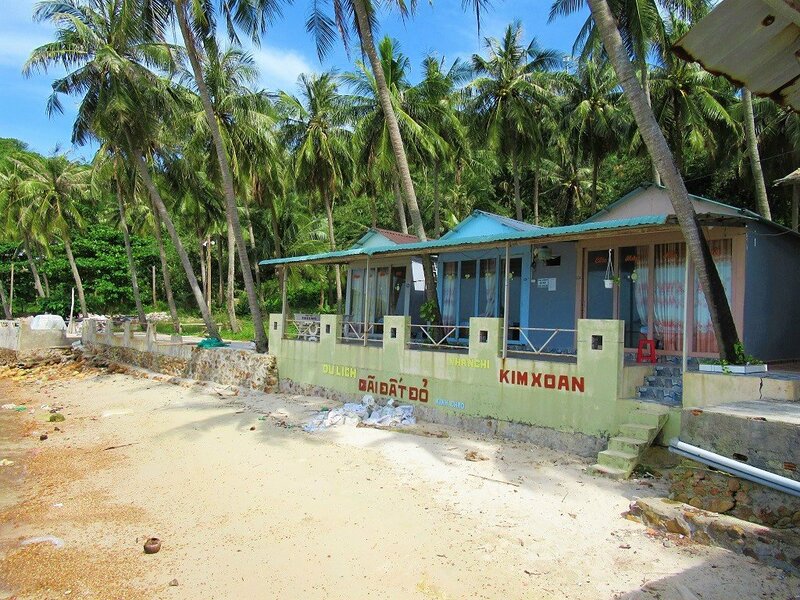 On Bai Chuong Beach on Hon Mau Island, for example, there are lots of seafood and drinks shacks. 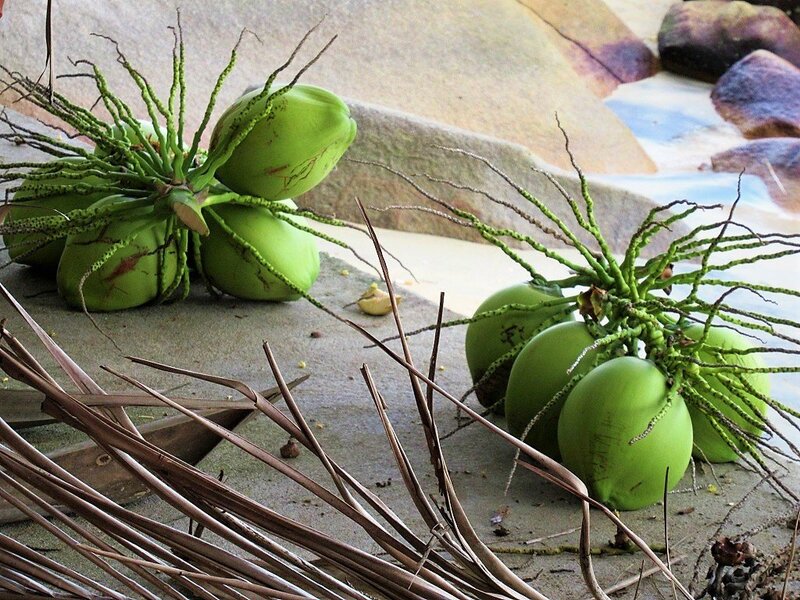 Finally, the thatched huts under the palm trees on Bai Cay Men Beach have excellent coconuts fresh from the trees. 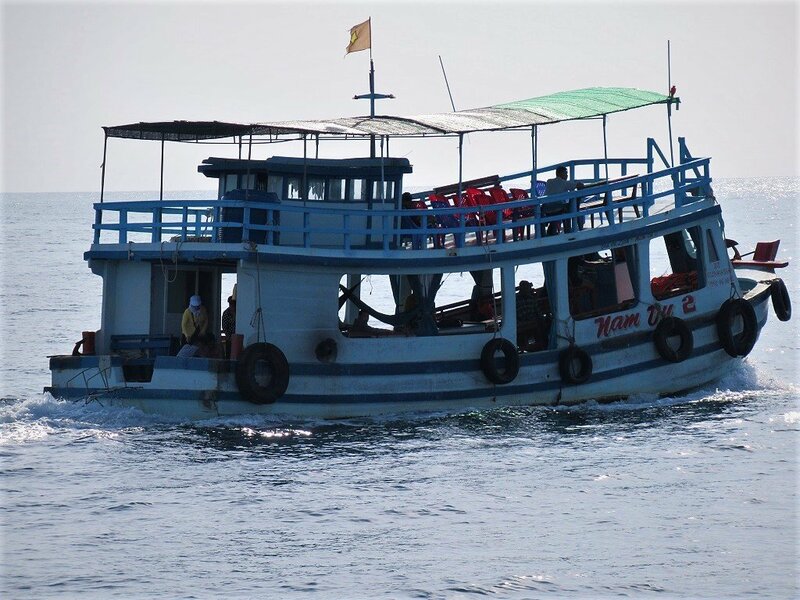 *Please support Vietnam Coracle: If you use the links & search boxes below to book your transportation to Nam Du Islands, I make a small commission. All my earnings go straight back into this website. Thank you. By Boat: The only way to get from the mainland to Nam Du Island (Hòn Lớn) is by boat. All boats leave from Rach Gia Port. 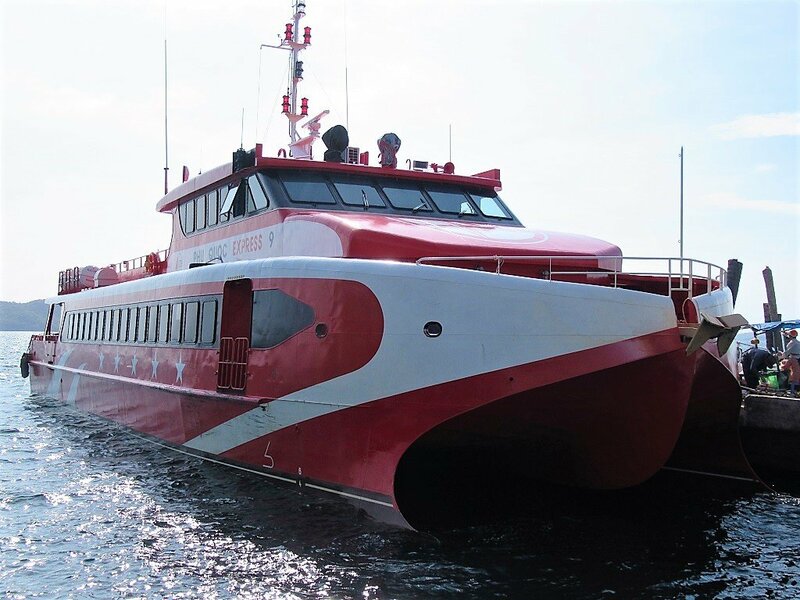 There are currently at least three different ferry companies operating fast boat passenger services to Nam Du Island. These are: Phu Quoc Express (don’t be fooled by the name), Superdong, and Ngoc Thanh. The duration of the voyage varies slightly depending on the boat and weather conditions, but in general it takes 2.5 hours between Rach Gia and Nam Du. Most boats to Nam Du also stop at Hon Son Island (also known as Lại Sơn) on the way, and sometimes Hòn Trê Island, too. The boats are comfortable, with coach-style seating, outside deck-space, life jackets and rafts. At present, there are no car ferries to Nam Du, but this is a good thing, because the island is far too small and fragile to accommodate large vehicles. 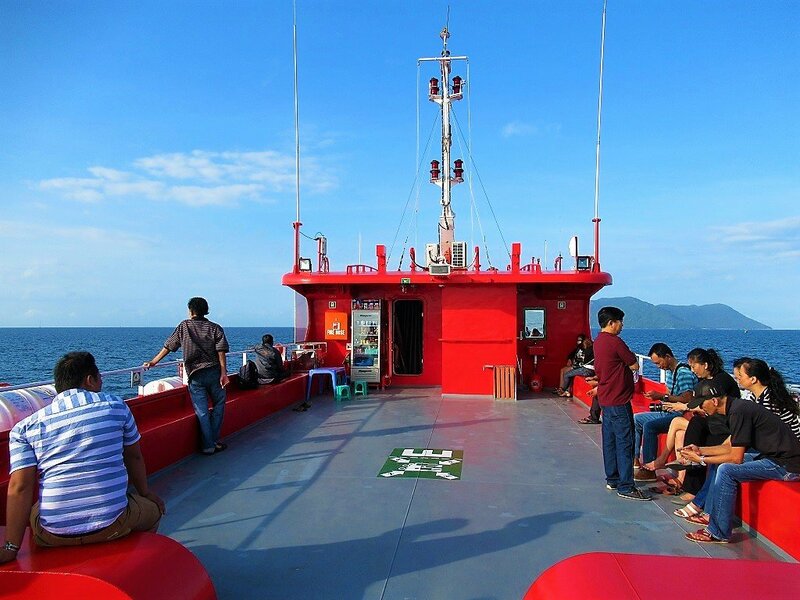 However, at the time of writing, it is possible to take your motorbike or bicycle on the Phu Quoc Express fast boat, but not on any of the other services. Sailing schedules change depending on the season, time of week, weather, and demand. Therefore, the times given below should be treated only as an indication: they are not set in stone. But, in general, you can guarantee at least one sailing a day (usually in the morning) in both directions from each of the three main boat operators. There are almost always extra sailings on weekends and during high season (December-April). Buying tickets is fairly straightforward. 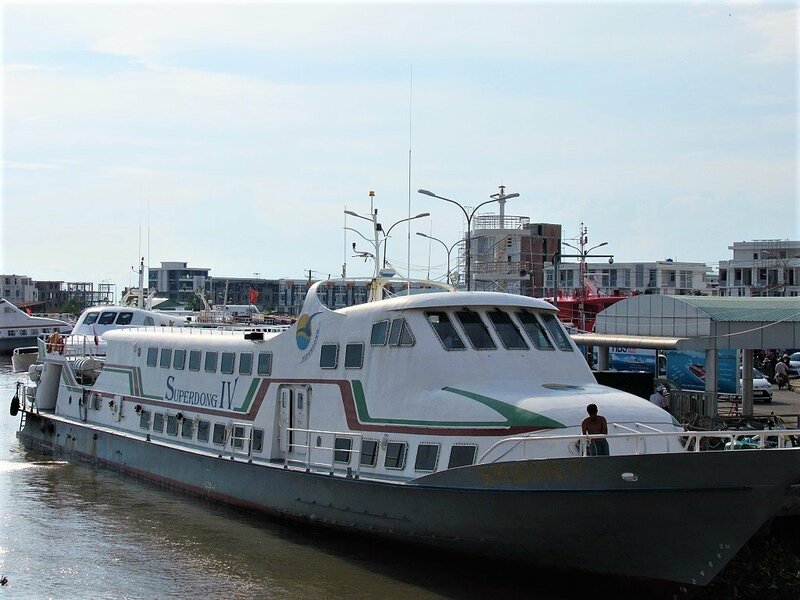 There are ticket offices for all boat operators at the port in Rach Gia and along 3 Tháng 2 Street near the intersection with Trần Thủ Độ Street, which is very near Rach Gia Port. On Nam Du Island, the ticket offices are clustered around the boat pier. It’s also possible to book boat tickets through most accommodations in Rach Gia and Nam Du. 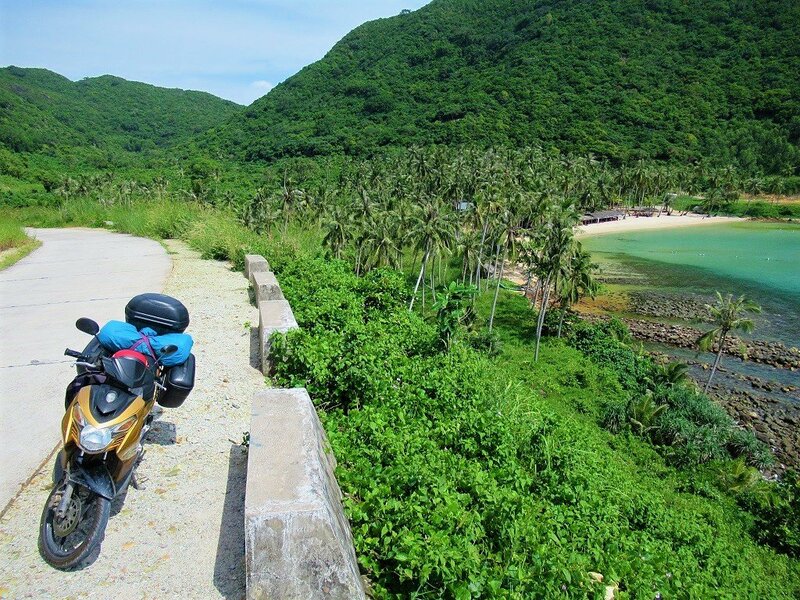 Booking in advance is advisable in high season, especially if you want to take your motorbike. More details (although, again, not necessarily accurate) can be found on the boat operators’ websites (see below) and bookings can also be made through Baolau.com. By Motorbike & Mini-bus: The main island of Nam Du (Hòn Lớn) is ideal for exploring by motorbike (or bicycle, but I couldn’t find any for rent). 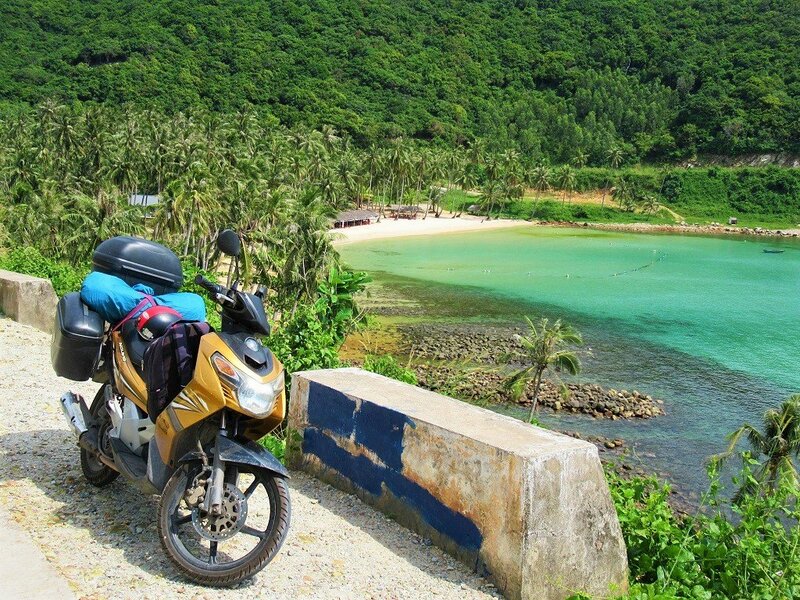 If you didn’t bring your own motorbike with you on the boat from the mainland, they can be rented from most guest houses and hotels from around 150,000-200,000vnd per day. There’s only really one road on Nam Du, which circumnavigates the entire island and is only about 15km in total. Thus, riding a circuit of the island only takes about 20 minutes on a motorbike, without any stops. But, of course, the whole point is that you stop for swims, picnics, and just to stand and admire the views and peace of the island (see Beaches & Activities for details). Although Google Maps doesn’t show Nam Du Island’s roads, it’s still possible to use my map as a reference to get your bearings and an idea of the lay of the land and the roads. Just bear in mind that the map pins and markers are only approximate, not exact. Although the road is paved and in pretty decent condition, it’s quite narrow, extremely steep in places, and the corners can be gravelly, which makes it easy to skid: be careful. Traffic is almost non-existent, but local drivers are the most trigger-happy with their horns than anywhere else I can remember in Vietnam. There aren’t any gas stations on the island, but rental bikes come with a full tank, and the distances are so short you won’t need to refill. If, for some reason, you do need to top up, gas is sold in bottles in Bai Tret. In high-season and on weekends, there’s a daily tourist shuttle-bus that circumnavigates the island (50,000vnd). 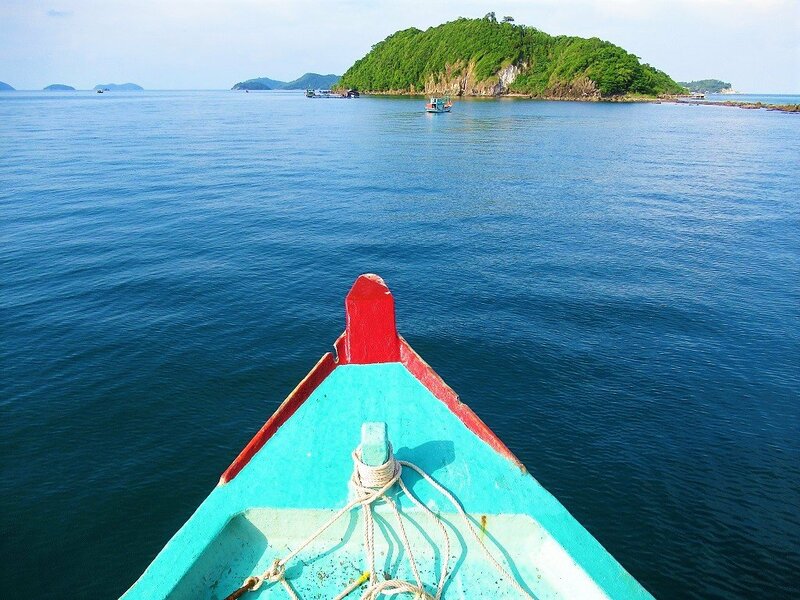 By Boat: A boat trip to the outlying islands is a must-do activity when visiting Nam Du. 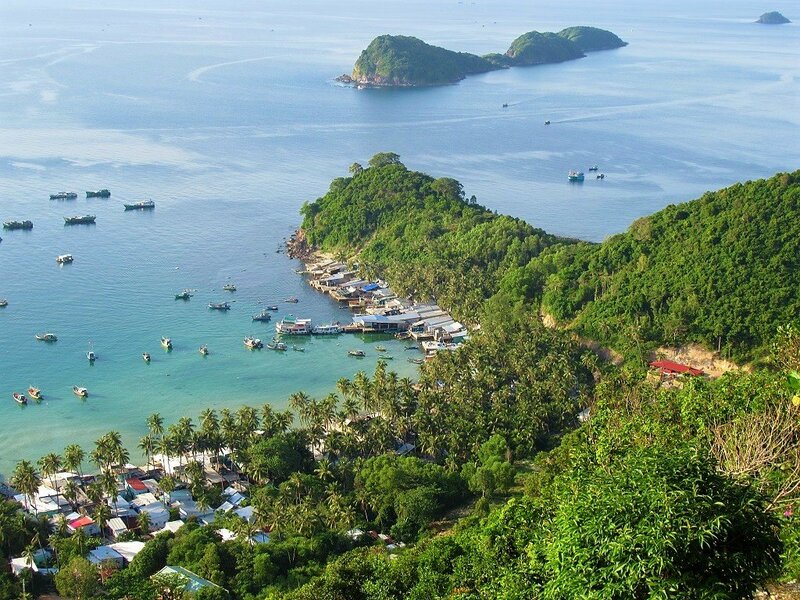 The Nam Du Archipelago consists of over 20 islands, islets, and rocky outcrops. Although Nam Du (Hòn Lớn) is the largest island with the biggest population, several other islands are also inhabited, including Hon Ngang, Hon Dau, and Hon Mau [view map]. All of the above mentioned islands can be visited by boat on cheap and easy half- or full-day tours. Even some of the uninhabited islands, which are small, rugged, green and forested, are included on these boat tour itineraries (see Beaches & Activities for details). 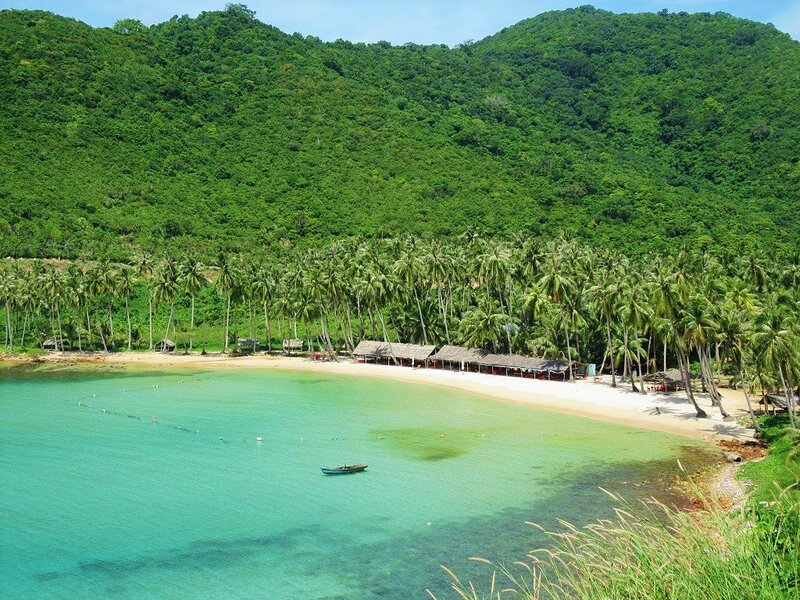 Boat trips to the outlying islands are easily arranged through your accommodation, and leave from Bai Tret village. Full-day tours (250,000vnd per person) leave at around 7.30am and return around 5pm; half-day tours (150,000vnd per person) leave at around 7.30am and return around 12noon, or leave around 1pm and return around 5pm. The cost, which is very reasonable, includes the boat, snorkeling equipment, any entrance fees, and even an on-board meal: usually rice porridge with seafood. Tour itineraries change from time to time, but as a general outline: half-day tours take in Hon Mau (including the wonderful Bai Chuong beach), and Hon Bo Dap island for snorkeling beneath the large cliffs; full-day tours follow the same itinerary, but also include stops at Hon Dau, Hon Ngang, where’s there’s a large fishing community, and Hon Lo, a tiny islet (see Beaches & Activities for details). 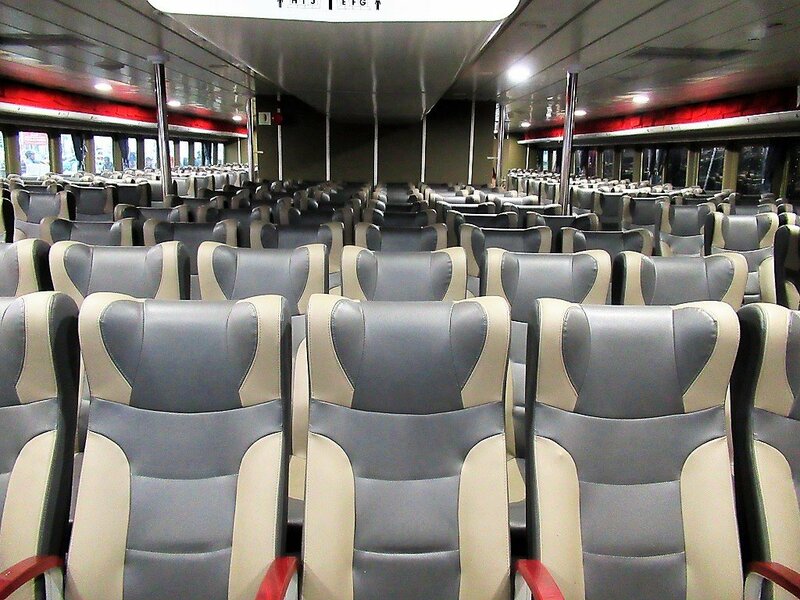 The boats are attractive wooden double-deck vessels, which can accommodate dozens of passengers on benches on the covered lower-deck and open-air upper deck. Safety is not bad: there are plenty of life jackets, but the gas cooker arrangement at the stern looked very dodgy to me, and the crew threw all their trash in the sea, as did some of the passengers. There can be a surprising amount of chop out on the ocean and the boat tilts and turns a fair bit: bring travel sickness pills if you’re prone to seasickness. 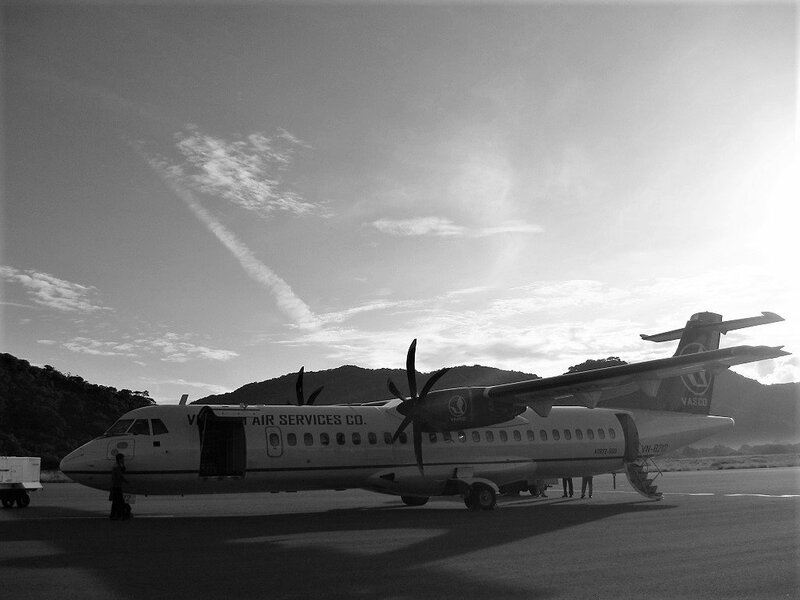 The majority of passengers are Vietnamese groups, couples, or families, all of whom thoroughly enjoy the experience. The boat engines are quite loud: a good tip is to sit on the upper deck, where it’s significantly quieter, the views are great, and it catches more of a breeze. 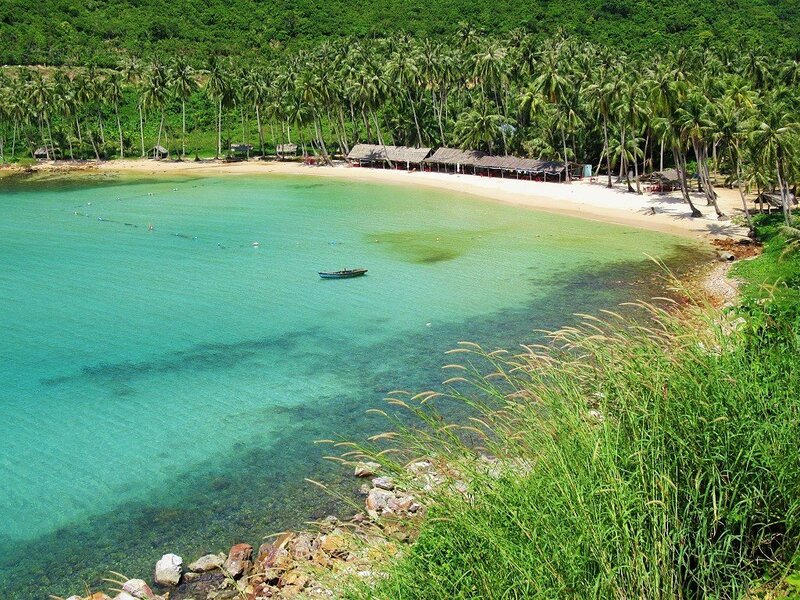 Like Phu Quoc, Nam Du is best visited in the southern dry season: November to April. During these months, the skies are generally clear, the sea calm, and the colours luminous. However, I personally prefer going during the shoulder months: October/November and April/May. At these times, the weather is still good (but with more of a chance of some rain) and the visitor numbers low, meaning you can enjoy the islands in peace: as long as you visit on a weekday, not a weekend. July to September is the wet season, when prevailing winds from the west bring monsoon rains from the Indian Ocean. The sea can be rough and winds high, meaning that boats to the islands are often cancelled. But this doesn’t mean you can’t visit during these months, and it certainly doesn’t rain all the time. You just need to have time and patience in order to allow for possible cancellations and rainy days.